Every Wednesday find out why people seek Chinese medical therapies! #WhyWednesday In honor of Stranger Things being released this weekend I did Small Intestine (SI) 11! Eleven is by far my favorite character and SI 11 is a great point for pain in the scapula, cough, wheeze, and asthma. Also, fun fact it helps with lactation! #strangerthings #Scapulapain #Asthma #cough #wheeze #lactation#eleven #acupuncture #TCM Never try this at home. Acupuncture should only be done by a licensed acupuncturist. Yin Tang, Shen Men, and Sympathetic are all great points to calm the mind and restart the body. The points along the Stomach channel (ST 3, 4, 5) help with pain in the face, facial paralysis and/or twitching. Extra point Tai Yang helps open the channel and if there is any eye pain. Qian Zheng is used for any deviation in the face. #trigeminalneuralgia#Blink182 #TravisBarker #acupuncture #TCM Never try this at home. Acupuncture should only be done by a licensed acupuncturist. #WhyWednesday #GameofThrones is over The wall has fallen down. Pericardium (PC) 6 helps put down the metaphorical wall we might put up in life. PC 6 helps with anxiety, and calming the mind. It can help with any type of emotional pattern! It also helps with stomach pain and the nausea you might be feeling now that we have to wait for Game Of Thrones to start again #Whendoesitstartagain#notsoonenough #Winterishere #mrnightkingteardownthatwall#dragonriders #fireandice #khaleesi #J+D=I #bendtheknee #GoTS7#acupuncture #TCM Never try this at home. Acupuncture should only be done by a licensed acupuncturist. #WhyWednesday #GameofThrones week 7! This week we are not focusing on a house, instead we are focusing on the loss of a dragon. We all grieved when Khaleesi lost one of her dragons, Viserion, at the hand of the Night King. Lung 3 helps with grief and it also clears heat from the lungs, which is fitting since that poor fire breathing dragon will now be breathing cold air. #WhySoViserious #Viserion #nightkingjavelin#dragonriders #fireandice #khaleesi #bendtheknee #winteriscoming#ARMageddon #GoTS7 #acupuncture #TCM Never try this at home. Acupuncture should only be done by a licensed acupuncturist. #WhyWednesday #GameofThrones week 6! This week we will feature House Arryn! Petyr Baelish (Littlefinger) is one of the sneakiest threats in Westeros and isn’t too shy about sending people out the moon door causing them to fall a great distance to their death. Du 20 helps keep things from falling or prolapsing! It can help with frequent urination or defection! #Housearryn #moondoor #littlefinger #soicreepyeah#CenterQiFall #Prolapse #eclipse #moon #GoTS7 #acupuncture #TCMNever try this at home. Acupuncture should only be done by a licensed acupuncturist. #WhyWednesday #GameofThrones week 5! In honor of this week’s Game of Thrones episode star, the Mother of Dragons (Daenerys Targaryen), we will feature the Mother point on the Large Intestine channel, Large Intestine 11! It is used if you have heat in your body, especially on your skin. It is also used for fever (fire) and blood circulation! #Fireandblood#housetargaryen #motherofdragons #drogon#drogonneverleavehomewithoutone #daenerystargaryen #GoTS7#acupuncture #TCM Never try this at home. Acupuncture should only be done by a licensed acupuncturist. #WhyWednesday #GameofThrones week 4! In honor of the late Lady Olenna, we feature House Tyrell who’s saying is, “Growing Strong.” Kidney 3 helps with the bones especially if you have bone degeneration. It helps you stay strong as you grow older, just ask Lady Olenna! #HouseTyrell #GrowingStrong #LadyOlenna #Highgarden#TellCerseiIwanthertoknowitwasme #GoTS7 #acupuncture #TCMNever try this at home. Acupuncture should only be done by a licensed acupuncturist. #WhyWednesday #GameofThrones week 3! House Greyjoy! They are the iron born who conquer the seas. I have picked Kidney 7, the metal point on a water channel (Check out Kosher Chinese Medicine to learn more about the 5 elements). Kidney 7 helps to stop sweating, which Yara, Theon and Euron might need after battle at sea! #HouseGreyJoy #GreyWorm#GreyScale #Yara #Theon #Euron #GoTS7 #acupuncture #TCM Never try this at home. Acupuncture should only be done by a licensed acupuncturist. #WhyWednesday #GameofThrones week 2! House Frey plotted for the red wedding and have now gotten paid back for their actions. Spleen 8 promotes blood circulation especially in the uterus, which can cause a red wedding! 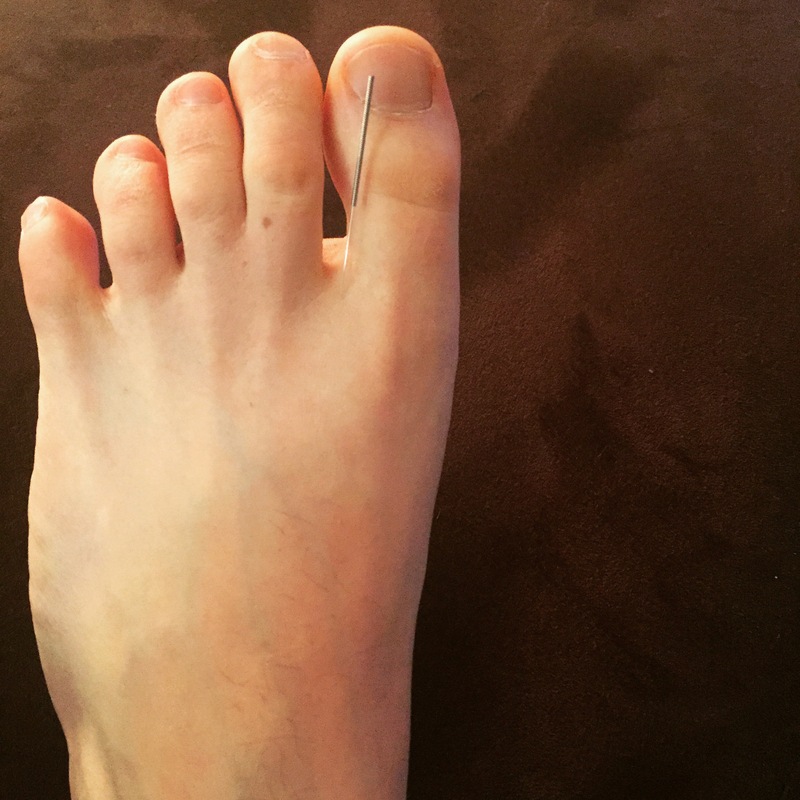 #AryaStarkWontHaveARedWedding #Housefrey #RedWedding#NorthRemembers #TellThemWinterCameForHouseFrey #GoT #GoTS7#acupuncture #TCM Never try this at home. Acupuncture should only be done by a licensed acupuncturist. #WhyWednesday #GameofThrones is back and for the next 7 weeks I will put up a point that represents each of the 7 houses. The first week starts with The House Stark. I chose the point Stomach 44 because it clears heat and as the Stark’s say #winteriscoming. They protect the North and Stomach 44 is good for mental unrest! 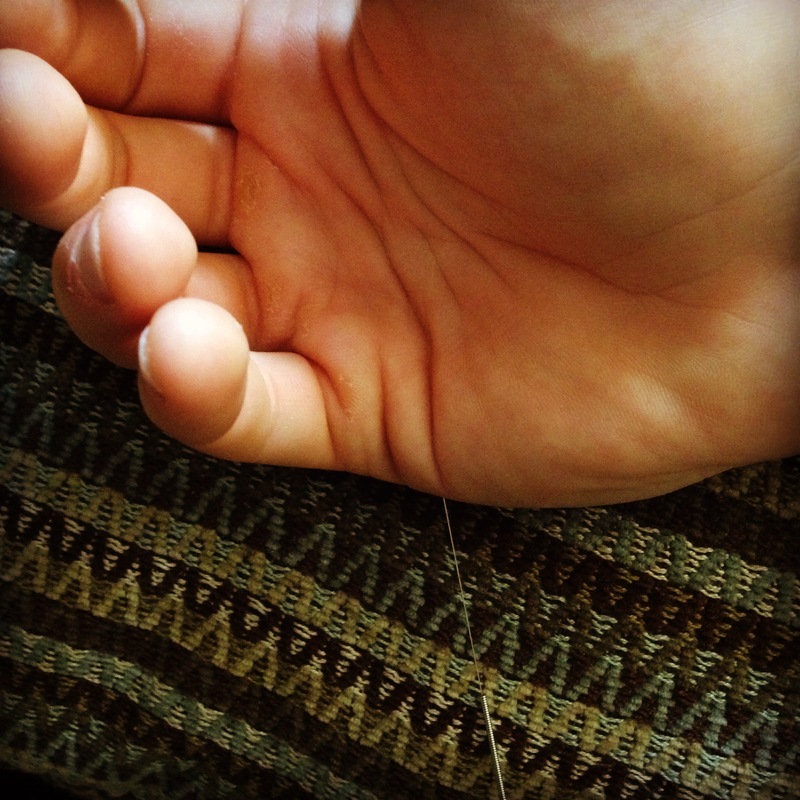 #winterfell #housestark #johnsnow #nedstark #edstark #direwolf #GoT #acupuncture #TCM Never try this at home. Acupuncture should only be done by a licensed acupuncturist. #WhyWednesday This is my trusted heat lamp! She helps improve circulation and oxygenation to the body! In the winter she helps my patients feel like they are laying in the sun. In the summer patients also feel like they are in the sun but aren’t going to have skin damage! 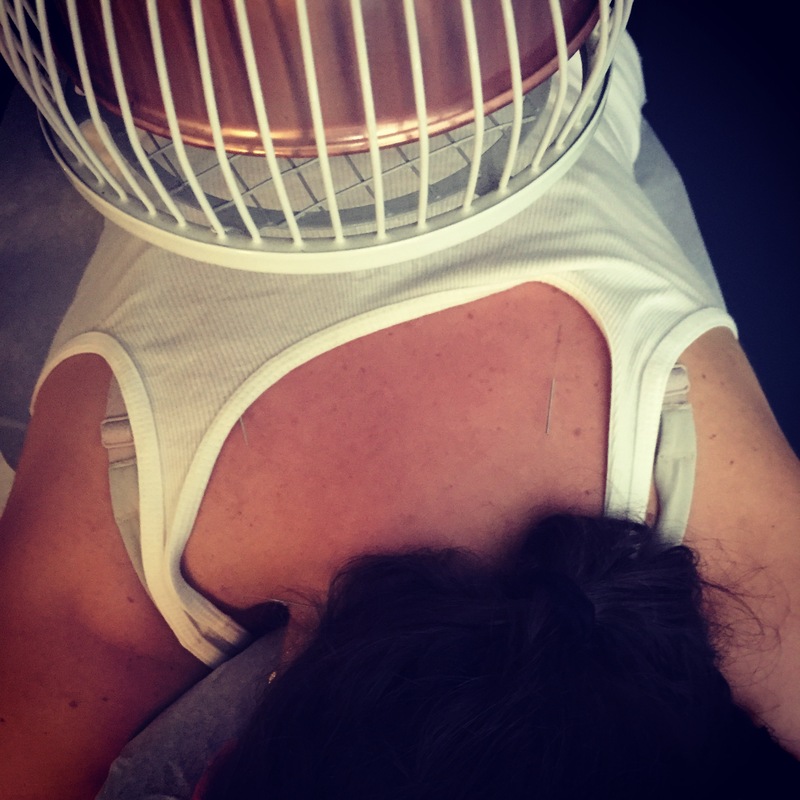 #winwin #heatlamp #circulation #oxygenation #sun #summersolstice #shehashelpedsomanypeople #acupuncture #TCM Never try this at home. Acupuncture should only be done by a licensed acupuncturist. 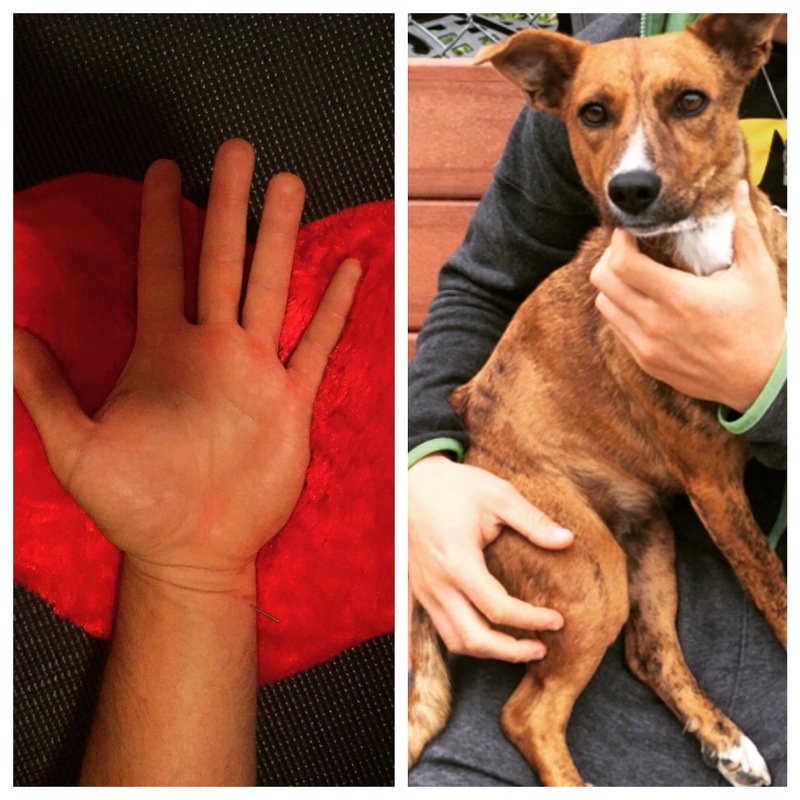 #WhyWednesday Heart 6, stops night sweats! Disclaimer: If you sleep with a dog on top of you, you might still sweat even with receiving heart 6! #justlettingyouknow #nightsweats #sweating #nothealthytosleepwithadog #ICantalwaysbehealthy #acupuncture #TCM Never try this at home. Acupuncture should only be done by a licensed acupuncturist. #WhyWednesday Craving sweets? Give Spleen 3 a little love! 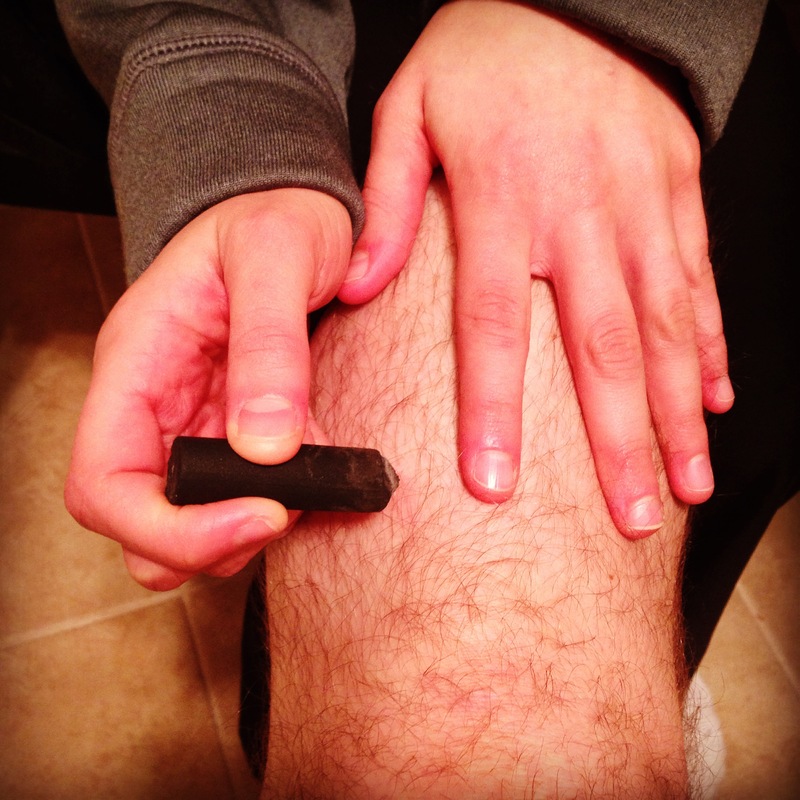 Rub on this point to help relieve sugar cravings! I am putting moxabustion on my spleen 3 to help tonify my spleen and cut the cravings! It also helps warm up my feet! #sugarcravings #Ilovesweets #chocolate #cake #cookies#lokaibracelet #coldfeetwarmheart #acupuncture #TCM Never try this at home. Acupuncture should only be done by a licensed acupuncturist. #WhyWednesday San Jiao 4 helps with wrist pain. It also helps with an unquenchable thirst! #wristpain #thirst #Sinewpain #ArmPain #AlsoHelpsWithEarsandEyes #Ozzieneededtobeinthepicture #acupuncture #TCM Never try this at home. Acupuncture should only be done by a licensed acupuncturist. #WhyWednesday On @siliconHBO Gavin Belson received cosmetic acupuncture, which helps with wrinkles. His treatment was also treating tinnitus and headaches! I labeled the points for you! #headaches #tinnitus #HBO #siliconValley #GavinBelson#cosmeticacupuncture #acupuncture #TCM Never try this at home. Acupuncture should only be done by a licensed acupuncturist. #WhyWednesday Red eyes? Sore throat? Large Intestine 6 can help both! It also works with tinnitus! #Redeyes #sorethroat #regulateswater #Helpswithedema #acupuncture #TCM Never try this at home. Acupuncture should only be done by a licensed acupuncturist. 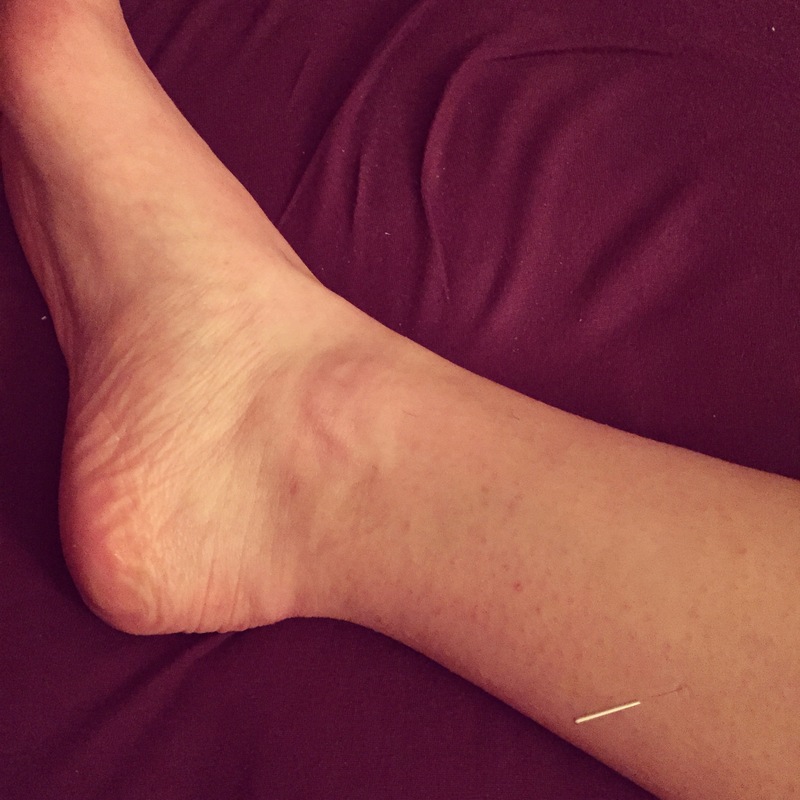 #WhyWednesday Check out my new article, (https://tryacupuncture.org/detox-with-flexibility/), where I talk about how we can detox using flexibility! Liver 8, Spring at the Bend, helps you become more physically flexible! It also helps with circulation. Gallbladder 34 also promotes physical flexibility. Du 20 and Yin Tang help with mental flexibility. #Detox #flexible #circulation #Yoga #Minimalism #Decluttering #acupuncture #TCM Never try this at home. Acupuncture should only be done by a licensed acupuncturist. #WhyWednesday San Jaio 10 helps fight headaches and pain in the neck, shoulder, and arm! #migraines #Neckpain #shoulderpain #headache #acupuncture #TCM Never try this at home. Acupuncture should only be done by a licensed acupuncturist. #WhyWednesday The Large Intestine channel helps promote healthy digestion. It also works with shoulder pain, neck pain, sore throat, and toothaches! #liquidtosoldwaste #Neckpain #shoulderpain #toothache #sorethroat #acupuncture #TCM Never try this at home. Acupuncture should only be done by a licensed acupuncturist. #WhyWednesday Do you have nagging neck pain? You might need a new mattress or pillow. Also, Gall Bladder 40 can help relieve neck pain! #Neckpain #painintheneck #Alsohelpswithribpain #andlegpain #acupuncture #TCM Never try this at home. Acupuncture should only be done by a licensed acupuncturist. #WhyWednesday The weather is crazy and is causing sore throats and blurry vision. Large Intestine 2 helps clear your sore throats and sharpen your vision! It can also help with toothaches! #BlurryVision #sorethroat #crazyweather #4seasonsin1week #acupuncture #TCM Never try this at home. Acupuncture should only be done by a licensed acupuncturist. #WhyWednesday Do you have any nausea, vomiting, or hiccup? Applying Moxa to this point, Zhong Kui, can help! Next time I get the hiccups I will post a video to show how it works! #Nausea #vomiting #hiccup #itsbetterwithmoxacones #acupuncture #TCM Never try this at home. Acupuncture should only be done by a licensed acupuncturist. #WhyWednesday Thanksgiving is coming up and sometimes we overeat. To control your hunger rub your ear in the spot pictured and it should help! #Thanksgiving #Selfcontrol #IamthankfulforAcupuncture #acupuncture #TCM Never try this at home. Acupuncture should only be done by a licensed acupuncturist. #WhyWednesday Luo Zhen is a point to help relieve a sore or stiff neck. If you have neck pain you can rub this point on your hand. It also helps with shoulder and arm pain. #soreneck #stiffneck #byebyepain #acupuncture #TCM Never try this at home. Acupuncture should only be done by a licensed acupuncturist. #WhyWednesday Er Jian helps cool down a fever! It also helps get rid of red eyes. 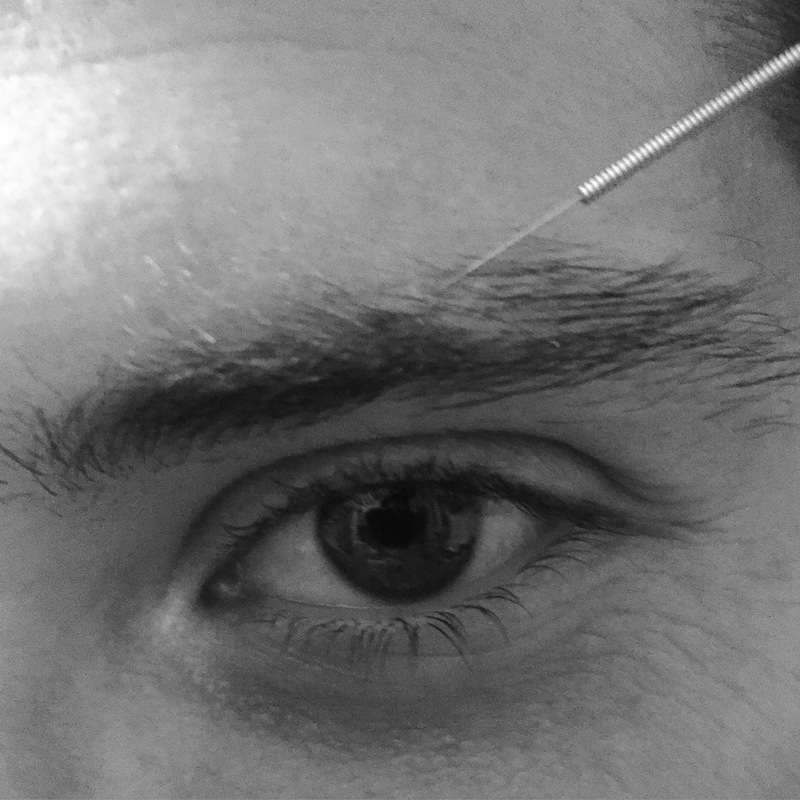 #fever #cooldown #redeyes #acupuncture #TCM Never try this at home. Acupuncture should only be done by a licensed acupuncturist. #WhyWednesday Stomach 13 is called Qi Door. This point is used to help with pain in the chest, cough, and to stop hiccups! #stopcoughing #chestpain #hiccups #acupuncture #TCM Never try this at home. Acupuncture should only be done by a licensed acupuncturist. #WhyWednesday Toothaches can be very painful and nagging. Pressing on Large Intestine 3 can help soothe the pain of a toothache before you see your dentist. #toothache #soothepain #mymomwasmytoothfairy #acupuncture #TCM Never try this at home. Acupuncture should only be done by a licensed acupuncturist. #WhyWednesday A lot of low back points are not actually in the back. Urinary Bladder 57 a point in the calf can help with low back pain! #lowbackpain #nobackpain #distalpoints #acupuncture #TCM Never try this at home. Acupuncture should only be done by a licensed acupuncturist. #WhyWednesday Gua Sha is as good and sometimes better than cupping! Gua Sha helps relieve muscles pain and tension. It can also be done in areas that cupping cannot. 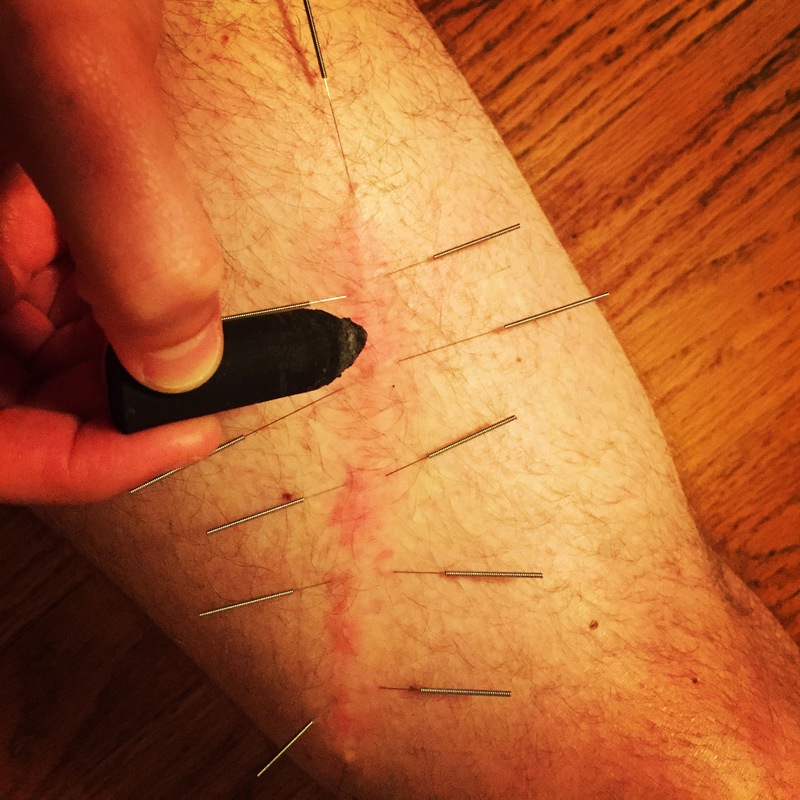 #guasha #muscleaches #Painrelief #helpsshinsplints #acupuncture #TCM Never try this at home. Acupuncture should only be done by a licensed acupuncturist. #WhyWednesday Spleen 10 can help clear rashes and itching. 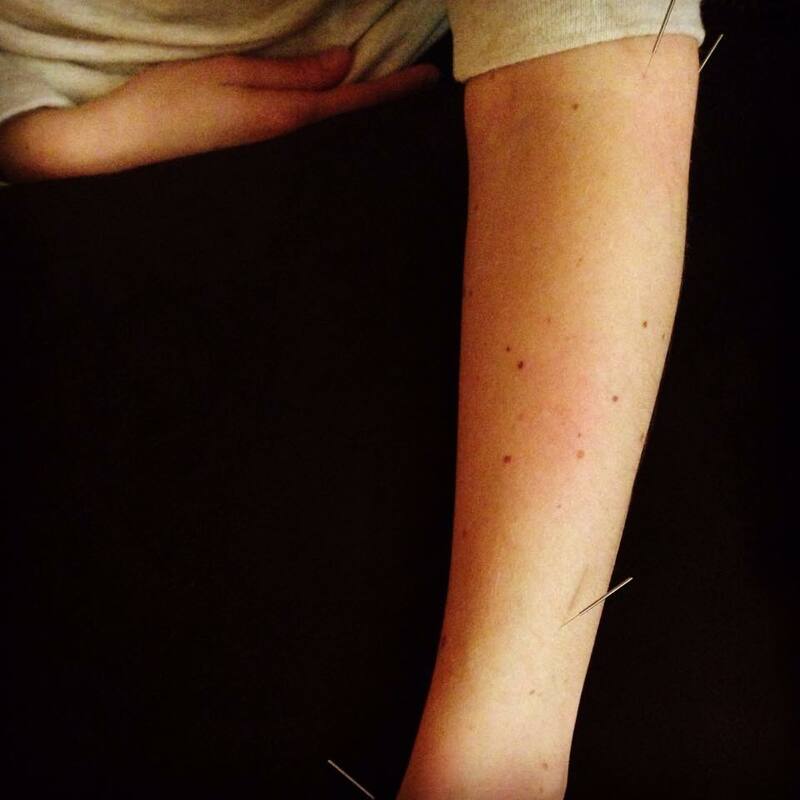 It is itchy season right now and acupuncture can help fight it! #itching #nomoreitching #Eczema #rashes #clearheat #acupuncture #TCM Never try this at home. Acupuncture should only be done by a licensed acupuncturist. #WhyWednesday Gall Bladder 41 is a great point to regulate menstruation. It can help with headaches too. #herpawsarecuterthanmyfeet #periodproblems #Cramping #Headaches #painrelief #acupuncture #TCM Never try this at home. Acupuncture should only be done by a licensed acupuncturist. ‪#‎WhyWednesday‬ I keep seeing these Olympians cramping up. Gall Bladder 40 can help with cramping in the foot. 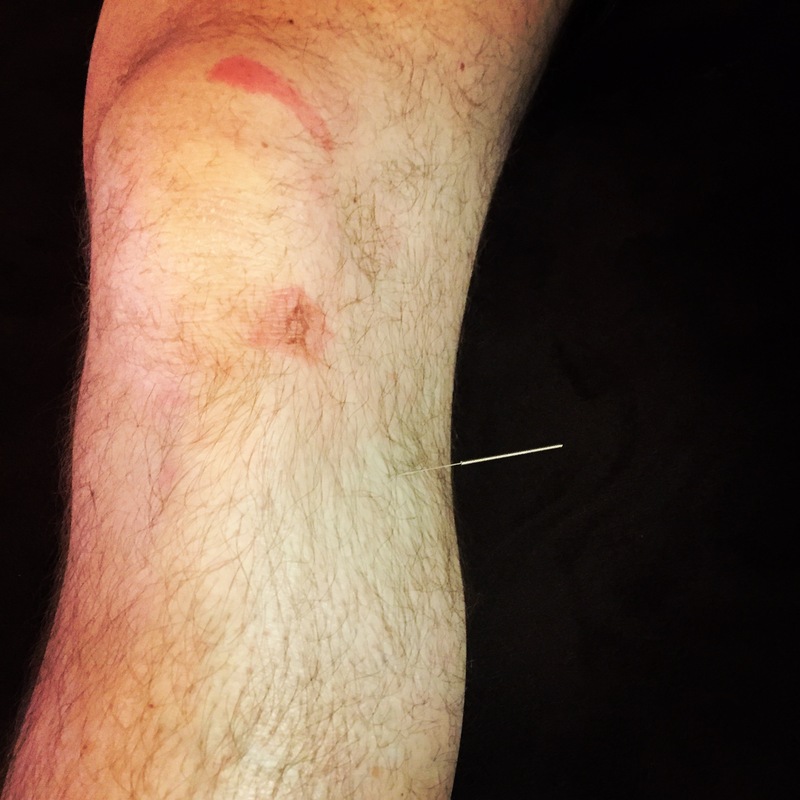 ‪#‎Cramping‬ ‪#‎Olympics‬ ‪#‎keeprunning‬ ‪#‎painrelief‬ ‪#‎trackandfield‬ ‪#‎nomorehurdles‬ ‪#‎acupuncture‬ ‪#‎TCM‬ Never try this at home. Acupuncture should only be done by a licensed acupuncturist. ‪#‎WhyWednesday‬ I have shown pictures of cupping before but the Olympics are forcing me to show it again! In Chinese Medicine pain is due to stagnation. Cupping relieves that stagnation. Cupping is the exact same thing as MFD, MFD is just a fancy term. The marks go away in about a week depending on how bad the stagnation is. Deep purple marks mean that the injury has been there a long time and there is a lot of stagnation. ‪#‎Cupping‬ ‪#‎Olympics‬ ‪#‎stagnation‬ ‪#‎painrelief‬ ‪#‎LedeckyForGold‬ ‪#‎ThankYouPhelps‬ ‪#‎acupuncture‬ ‪#‎TCM‬ @evolutionyoga Never try this at home. Acupuncture should only be done by a licensed acupuncturist. ‪#‎WhyWednesday‬ Point 0, an auricular point, helps with overall balance in your body. It is a restart button for the body. Ready for my restart in Glenview! ‪#‎point0‬ ‪#‎restart‬ ‪#‎change‬ ‪#‎evolutionyoga‬ ‪#‎DanaFineAcupuncture‬ ‪#‎basketball‬ ‪#‎acupuncture‬ ‪#‎TCM‬ @evolutionyoga Never try this at home. Acupuncture should only be done by a licensed acupuncturist. #WhyWednesday Many times people have a ridged neck and it causes headaches. Small Intestine 7 can help with both. SI 7 helps move qi in the channel! It also helps calm the mind. #headache #neckpain #TheQiMovement #painrelief #scarlettwouldntletmetakethepicturewithoutherinit #acupuncture #TCM Never try this at home. Acupuncture should only be done by a licensed acupuncturist. #WhyWednesday In the battlefield, service men and women use battlefield acupuncture to help with pain. These quick 5 ear points Shen Men, Point 0, Thalamus, Cingulate gyrus, and Omega 2 help relieve pain in some instantly! Too read more about ear acupuncture check out my article in Try Acupuncture (http://tryacupuncture.org/sounds-eery/). 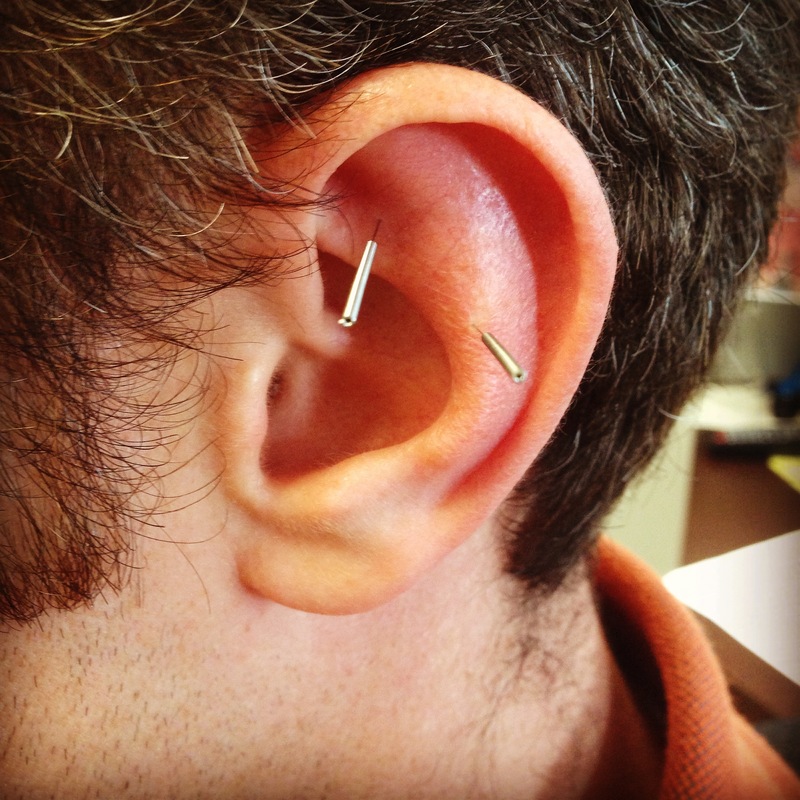 @earseeds #pain #earneedles #earseeds #auricular #painrelief #battlefieldacupuncture #acupuncture #TCM Never try this at home. Acupuncture should only be done by a licensed acupuncturist. #WhyWednesday San Jiao 15 helps invigorate qi. This point is used to help people who have frozen shoulder. #TheQiMovement #frozenshoulder #shoulder #qi #acupuncture #TCM Never try this at home. Acupuncture should only be done by a licensed acupuncturist. #WhyWednesday San Jiao 5 can move qi in the arm, which helps pain in the arm! It can also help with a one sided headache and cold like signs and symptoms. 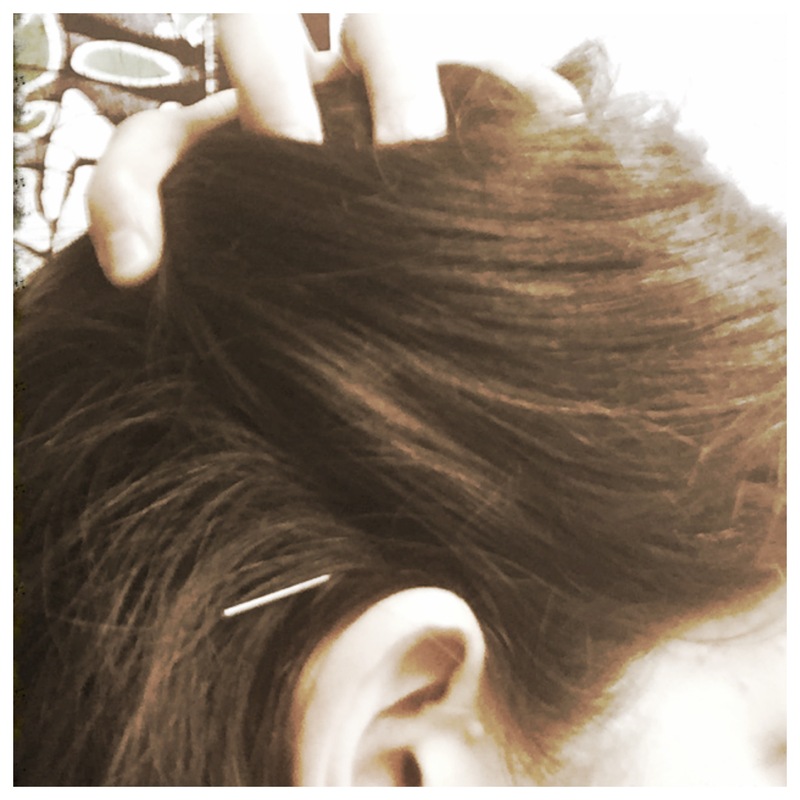 #TheQiMovement #onesidedheadache #coldandflu #qi #acupuncture #TCM Never try this at home. Acupuncture should only be done by a licensed acupuncturist. ‪#‎WhyWednesday‬ Are your lungs weak? Do you have a weak voice, get respiratory infections often, or wheezing? Lung 9 helps tonify lung qi, which might be weak if you have these symptoms. It also helps bring blood to your fingers if you have cold hands! ‪#‎TheQiMovement‬ ‪#‎makeyourlungsstronger‬ ‪#‎qi‬ ‪#‎moxa‬ ‪#‎acupuncture‬ ‪#‎TCM‬ Never try this at home. Acupuncture should only be done by a licensed acupuncturist. ‪#‎WhyWednesday‬ This month is dedicated to understanding qi and to get our qi moving! Points Stomach 36 (leg) and Large Intestine 10 (arm) help supplement qi and keep your qi strong so you don’t crash midday! Check out the link in my bio for more information! ‪#‎TheQiMovement‬ ‪#‎checkoutmywebsiteformore‬ ‪#‎qi‬ ‪#‎acupuncture‬ ‪#‎TCM‬ Never try this at home. Acupuncture should only be done by a licensed acupuncturist. #WhyWednesday Do you have irregular periods? Kidney 5 can help regulate you. 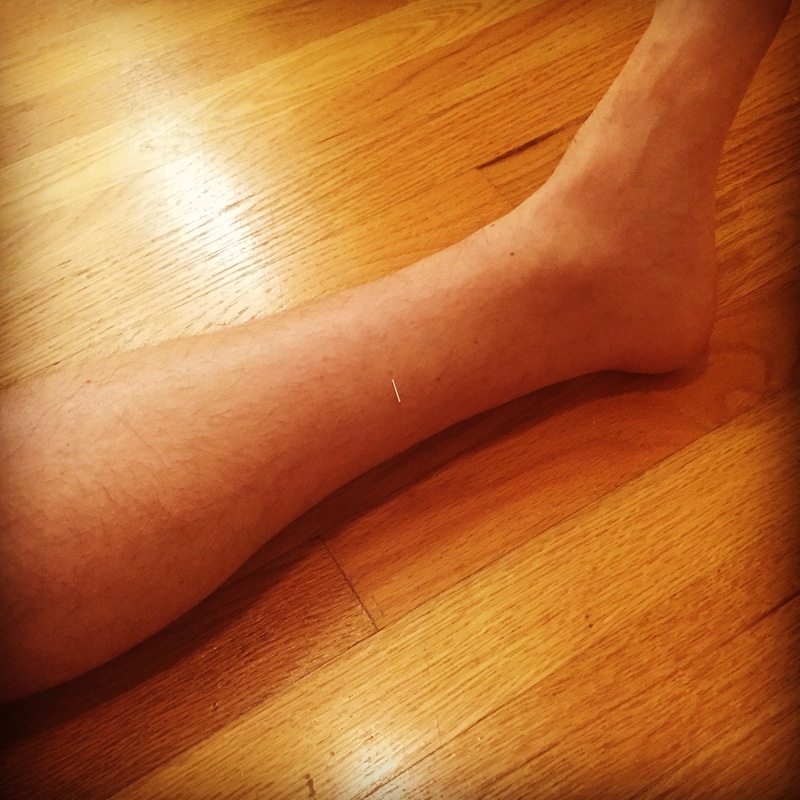 This point located near the ankle helps regulate your menstruation to help you feel great! 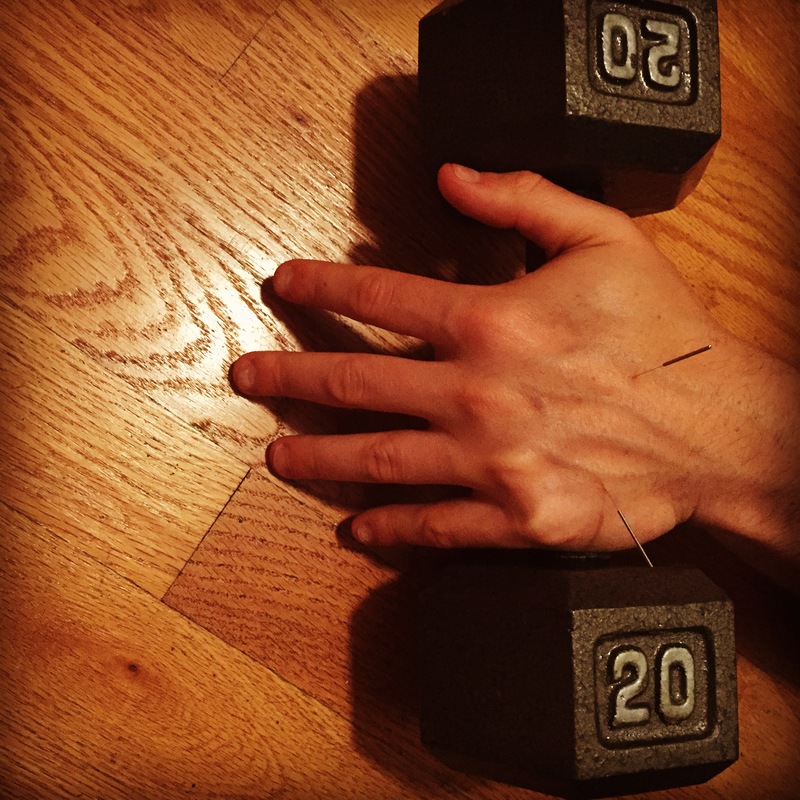 #italsohelpswithblurryvision #irregularperiods #28daycycles #acupuncture #TCM Never try this at home. Acupuncture should only be done by a licensed acupuncturist. #WhyWednesday If you are coughing or having any sort of breathing difficulty press on Lung 6. This point helps stop coughing or wheezing especially coughing or wheezing that happens suddenly. #cough #asthma #wheeze #acupuncture #TCM Never try this at home. Acupuncture should only be done by a licensed acupuncturist. #WhyWednesday It is windy outside and it can cause people to feel sick. Wind can cause colds and flus as well as headaches. Gall Bladder 7 can stop that headache and dizzy feeling from the wind. 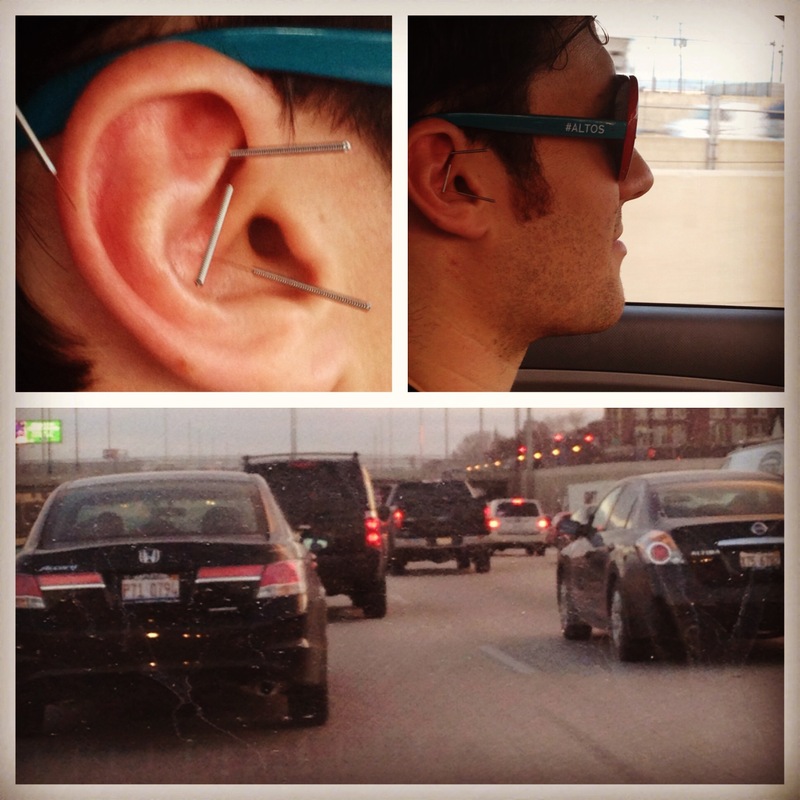 #headache #windycity #wind #acupuncture #TCM Never try this at home. Acupuncture should only be done by a licensed acupuncturist. #WhyWednesday Large Intestine 4 can do it all! However, for this post we will focus on headaches. 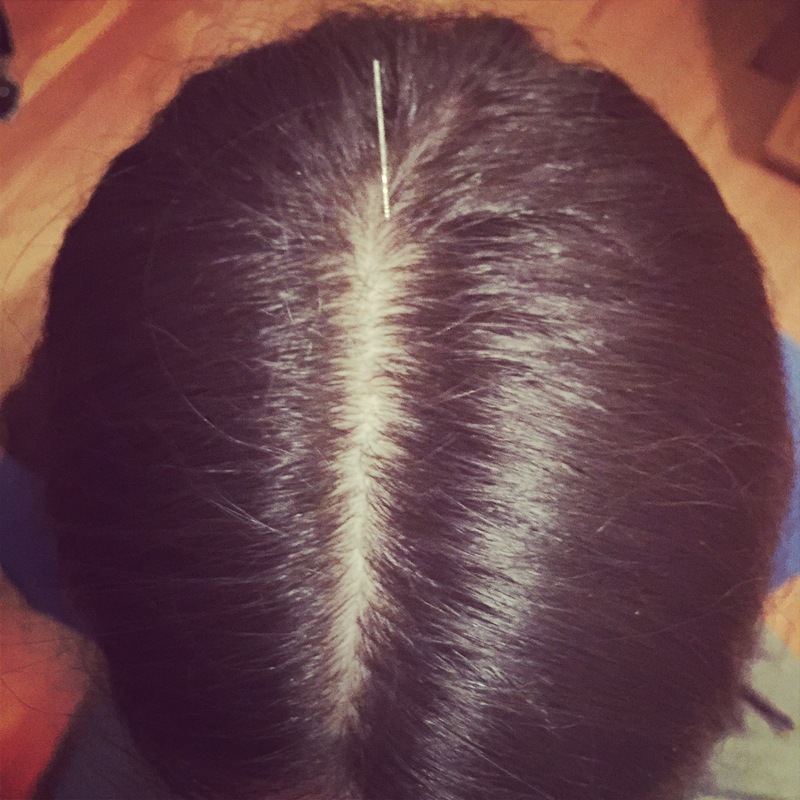 Yesterday I posted an article about how acupuncture can stop migraines. If you press this point during a migraine it will help relieve the pain. #headache #migraines #nomorepain #acupuncture #TCM Never try this at home. Acupuncture should only be done by a licensed acupuncturist. #WhyWednesday Do you get night sweats? Acupuncture can help! Heart 6 is a point that helps stop nagging night sweats. #nightsweats #sleepbetter #wakeuphappy #acupuncture #TCM Never try this at home. Acupuncture should only be done by a licensed acupuncturist. #WhyWednesday This weekend was so beautiful and we all did a lot walking. Unfortunately, yesterday and today have been cold and damp. Fortunately there is a point that can help our legs recover if they are sore from walking (beautiful weather) and need better blood flow from sitting (cold and damp weather). Gall Bladder 31 on the thigh is a great point for soreness in the leg. It is called wind gate and is perfect for the Windy City! 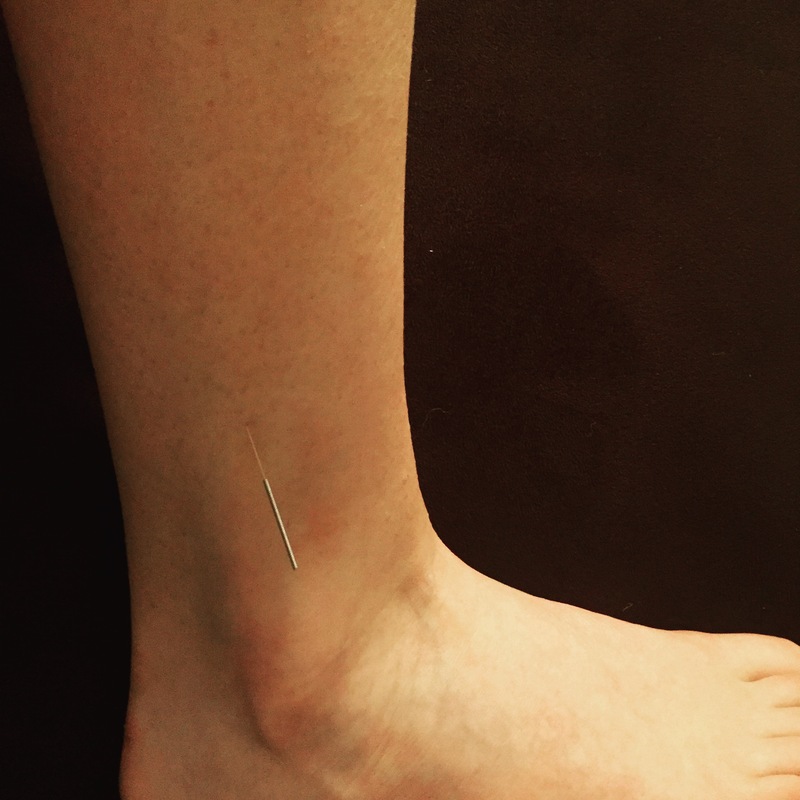 #legpain #soreness #walking #acupuncture #TCM Never try this at home. Acupuncture should only be done by a licensed acupuncturist. ‪#‎WhyWednesday‬ Cold and flu season is going around. 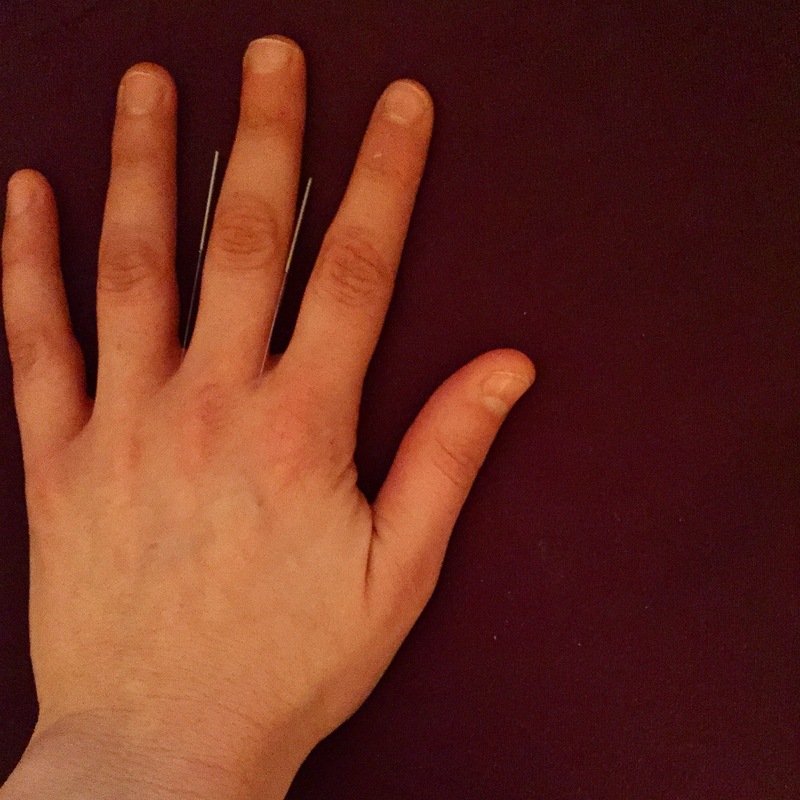 Zhong Quan a point on the hand/wrist can help with the stuffy chest many are experiencing right now. It also helps with gastric pain. ‪#‎stuffychest‬ ‪#‎coldandfluseason‬ ‪#‎gastricpain‬ ‪#‎acupuncture‬ ‪#‎TCM‬ Never try this at home. Acupuncture should only be done by a licensed acupuncturist. #‎WhyWednesday‬ If you have ringing in your ears because of all the screaming from ‪#‎MarchMadness‬ then Gall Bladder 2 is the point for you. It can also calm you down if you had North Carolina winning and cure a toothache if you were clenching your teeth on those last two shots! ‪#‎tinnitus‬ ‪#‎toothache‬ ‪#‎relaxation‬ ‪#‎acupuncture‬ ‪#‎TCM‬ Never try this at home. Acupuncture should only be done by a licensed acupuncturist. ‪#‎WhyWednesday‬ Headaches from this windy weather are a thumbs down but getting rid of them is a thumbs up! Large Intestine 5 helps relieve headaches due to wind heat. 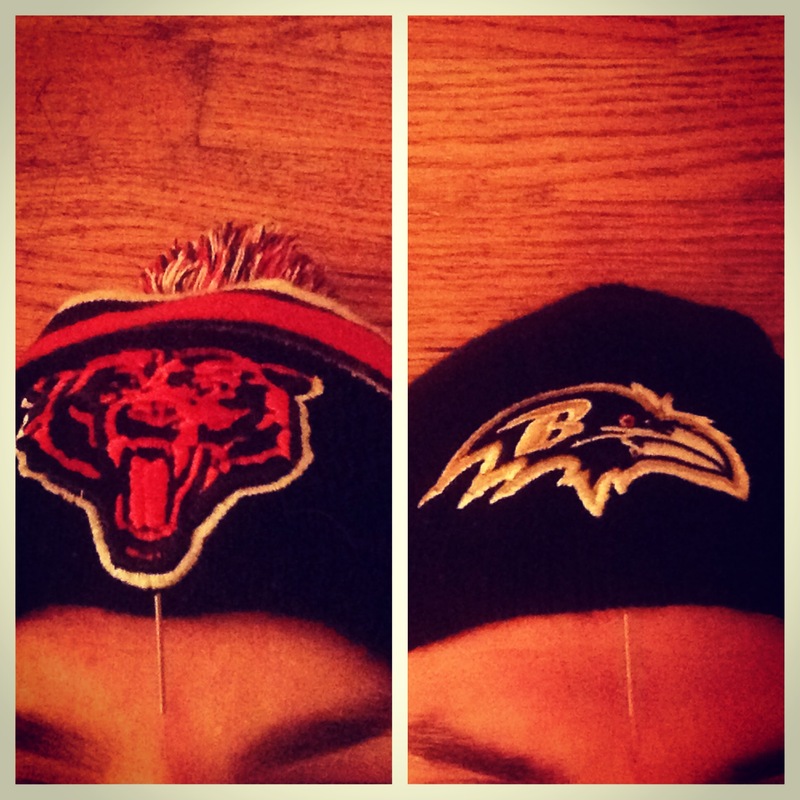 ‪#‎Headache‬ ‪#‎wind‬ ‪#‎windycity‬ ‪#‎acupuncture‬ ‪#‎TCM‬ Never try this at home. Acupuncture should only be done by a licensed acupuncturist. ‪#‎WhyWednesday‬ Palpitations are common when we are nervous. Pressing on pericardium 4 can help reduce palpitations! ‪#‎palpitations‬ ‪#‎nervous‬ ‪#‎skipabeat‬ ‪#‎acupuncture‬ ‪#‎TCM‬ Never try this at home. Acupuncture should only be done by a licensed acupuncturist. ‪#‎WhyWednesday‬ Some things are just misunderstood such as kidney 1. Kidney 1 can help boost energy, treat plantar fasciitis, help with headaches and much more. 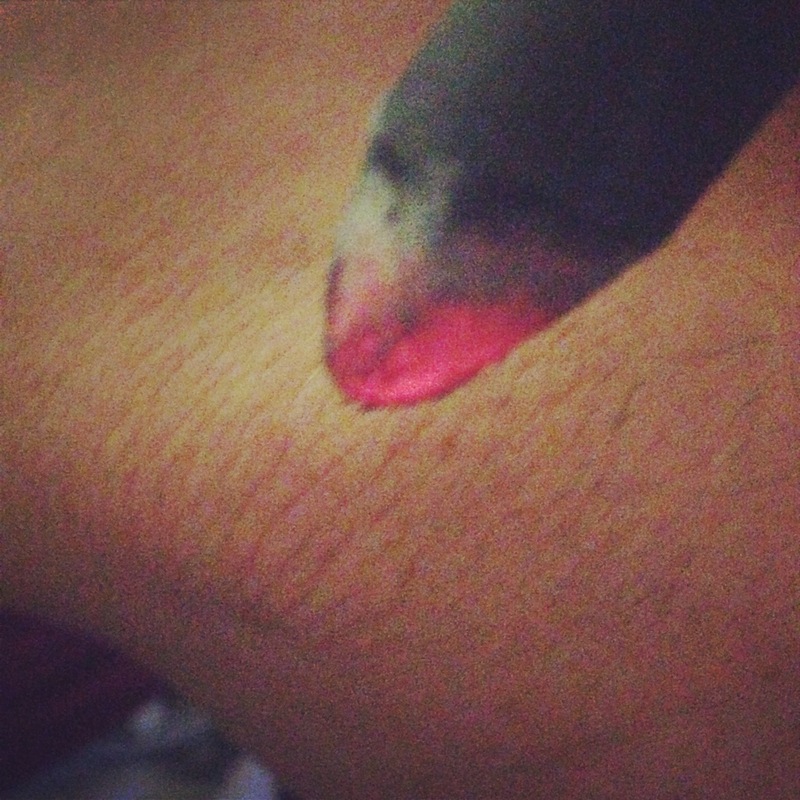 The point may look painful but it actually feels relieving if used properly. Check out my latest article, Acupuncture is Man’s Best Fried, about more things misunderstood about acupuncture and of course I add dogs to the mix. ‪#‎seealicensedacupuncturist‬ ‪#‎misunderstood‬ ‪#‎pitfalls‬ ‪#‎dontjudgeabookbyitscover‬ ‪#‎acupuncture‬ ‪#‎TCM‬ Never try this at home. Acupuncture should only be done by a licensed acupuncturist. ‪#‎WhyWednesday‬ Spleen 8, a point on the leg, regulates the uterus and helps with painful periods. If your periods are filled with clots this is a great point for you because it helps circulate your blood to avoid those painful clots. ‪#‎internationalwomensday‬ ‪#‎Belated‬ ‪#‎periodpain‬ ‪#‎menstruation‬ ‪#‎acupuncture‬ ‪#‎TCM‬ Never try this at home. Acupuncture should only be done by a licensed acupuncturist. #‎WhyWednesday‬ Hernia pain can disrupt with daily activities. Liver 4 can help with hernia pain. Yes, I am sharing this point during the CrossFit Open on purpose. 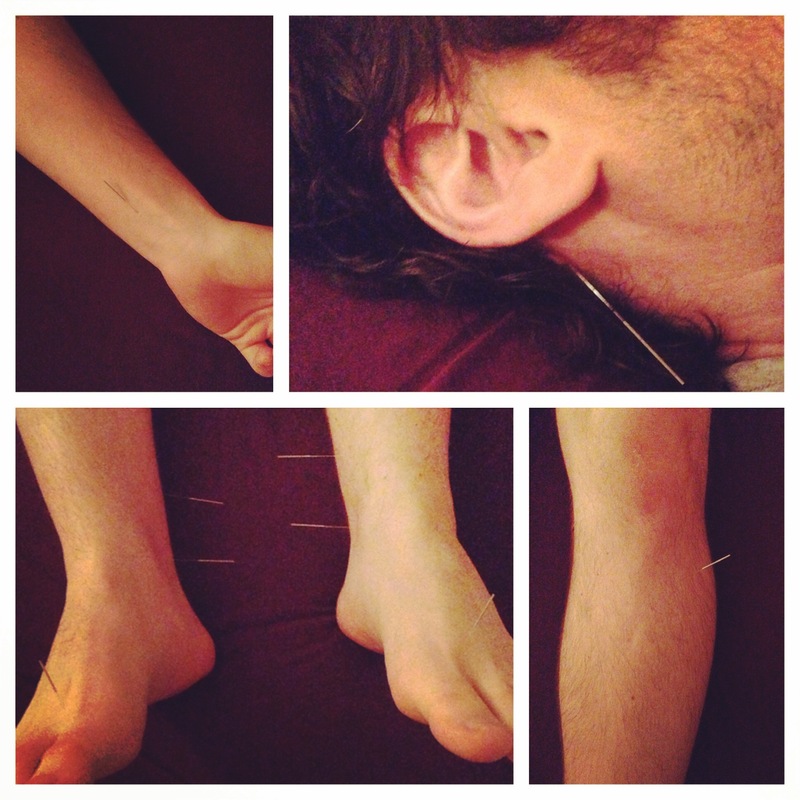 ‪#‎crossfitOpen‬ ‪#‎CrossFit‬ ‪#‎hernia‬ ‪#‎painpaingoaway‬ ‪#‎acupuncture‬ ‪#‎TCM‬ Never try this at home. Acupuncture should only be done by a licensed acupuncturist. #WhyWednesday Small Intestine 9 is also called True Shoulder and can help with any type of shoulder pain. Shoulder pain is common, especially when you sit at a desk all day on a computer. Make sure to walk around at work to avoid this problem. #shoulderpain #getupandwalkaround #trueshoulder #acupuncture #TCM Never try this at home. Acupuncture should only be done by a licensed acupuncturist. ‪#‎WhyWednesday‬ Today is Michael Jordan’s birthday and I am sure he has some low back pain from all those years winning for the Bulls! A distal point such as Urinary Bladder 57, can help with low back pain and hemorrhoids just in case he has those too, lol. ‪#‎lowbackpain‬ ‪#‎nobackpain‬ ‪#‎happybirthdayMj‬ ‪#‎wishitwasUB23‬ ‪#‎gobulls‬ ‪#‎acupuncture‬ ‪#‎TCM‬ Never try this at home. Acupuncture should only be done by a licensed acupuncturist. #WhyWednesday It is common to get a horse voice right now. Distal points like Lung 10 help restore a person’s voice! #laryngitis #horsevoice #talkagain #acupuncture #TCM Never try this at home. Acupuncture should only be done by a licensed acupuncturist. #WhyWednesday Even though the week is almost over it is normal to feel exhausted right about now, especially now that the weather is colder. Spleen 3 can help with that heavy feeling. It can also help with joint pain and SUGAR CRAVINGS! #yummysugar #nomoreheavyfeeling #yestovegetables #acupuncture #TCM Never try this at home. Acupuncture should only be done by a licensed acupuncturist. #WhyWednesday This weather is bothering my eyes. Thankfully I can needle my Gallbladder 37 and it helps with pain in the eyes and blurry vision! 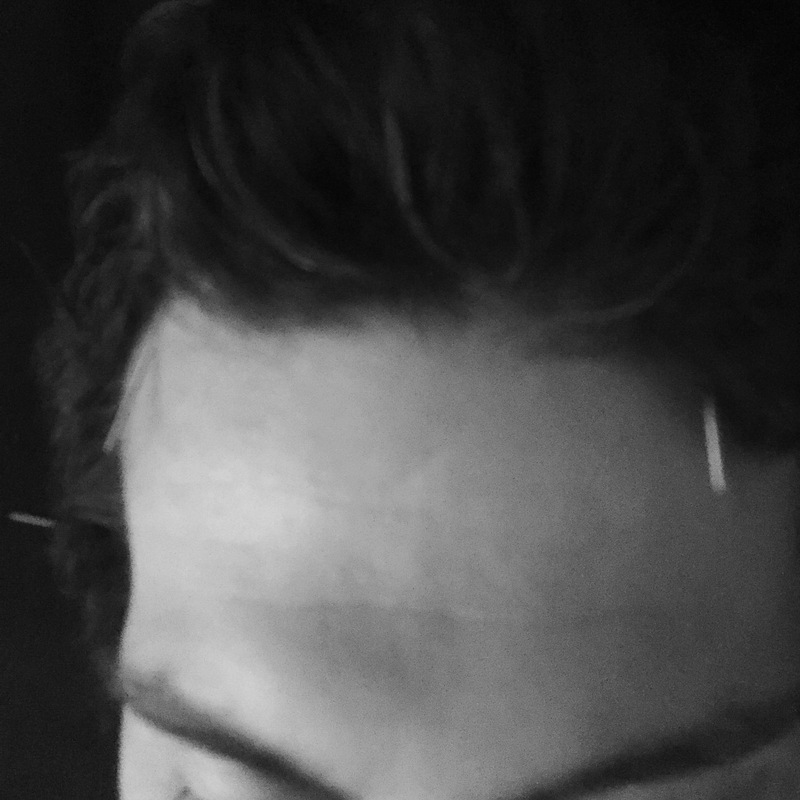 #eyes #blurryvision #painintheeyes #acupuncture #TCM Never try this at home. Acupuncture should only be done by a licensed acupuncturist. ‪#‎WhyWednesday‬ Allergies are common. People are allergic to weather, animals, and much more. The point demonstrated on the ear can help people with allergies. I add it to all my treatments when the patient has constant allergies. ‪#‎allergies‬ ‪#‎dander‬ ‪#‎nomorerashes‬ ‪#‎nomoresneezing‬ ‪#‎acupuncture‬ ‪#‎TCM‬ Never try this at home. Acupuncture should only be done by a licensed acupuncturist. ‪#‎WhyWednesday‬ Are you ever in class or at work and your eyelid cannot stop twitching? Stomach 3 below the eye can help relieve that pain. If you don’t want a needle in your face rub that spot to relieve the twitching. If you like needles then call me! ‪#‎twitchingeyelid‬ ‪#‎studyingtoomuch‬ ‪#‎workingtoomuch‬ ‪#‎stayawayfromscreentime‬ ‪#‎acupuncture‬ ‪#‎TCM‬ Never try this at home. Acupuncture should only be done by a licensed acupuncturist. ‪#‎WhyWednesday‬ During cold and flu season our chests can feel tight and painful. Ren 17 helps expand the chest and help us breath easier. ‪#‎coldandfluseason‬ ‪#‎tightschest‬ ‪#‎breatheasy‬ ‪#‎stronglungs‬ ‪#‎acupuncture‬ ‪#‎TCM‬ Never try this at home. Acupuncture should only be done by a licensed acupuncturist. #WhyWednesday This bandaid looking thing contains a small needle. It is placed at Large Intestine 10 to keep my qi and blood strong all day. It keeps my body stay harmonized to avoid cold and flu season! 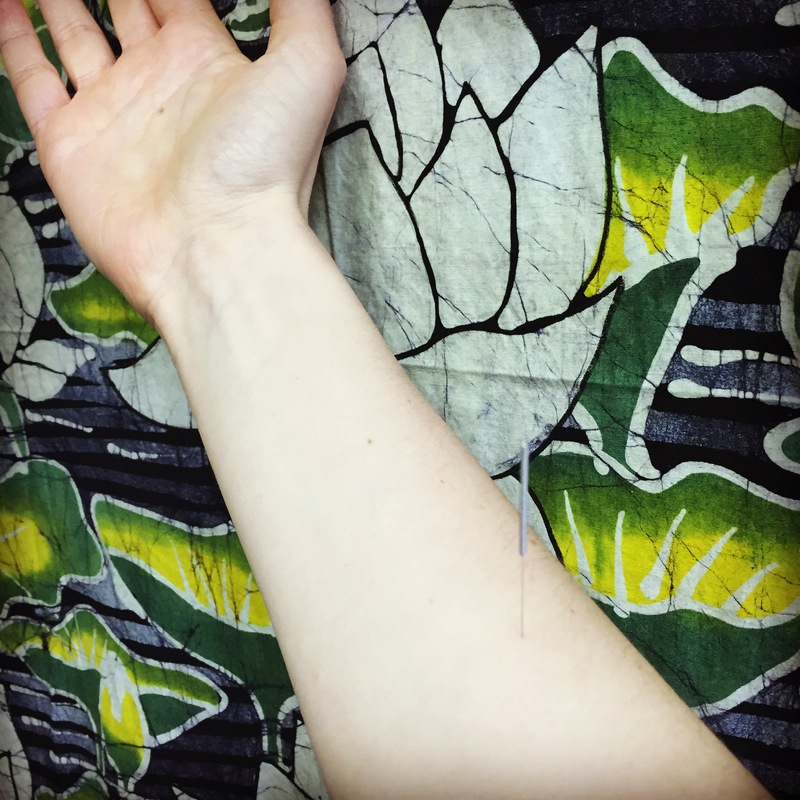 #needlestaysinallday #stayhealthy #winteriscoming #qiandblood #acupuncture #TCM Never try this at home. Acupuncture should only be done by a licensed acupuncturist. #WhyWednesday Winter is coming and for some that means outdoor running is winding down. Liver 8 is a point for knee and joint pain! It will help make coming back to running in the Spring feel good! 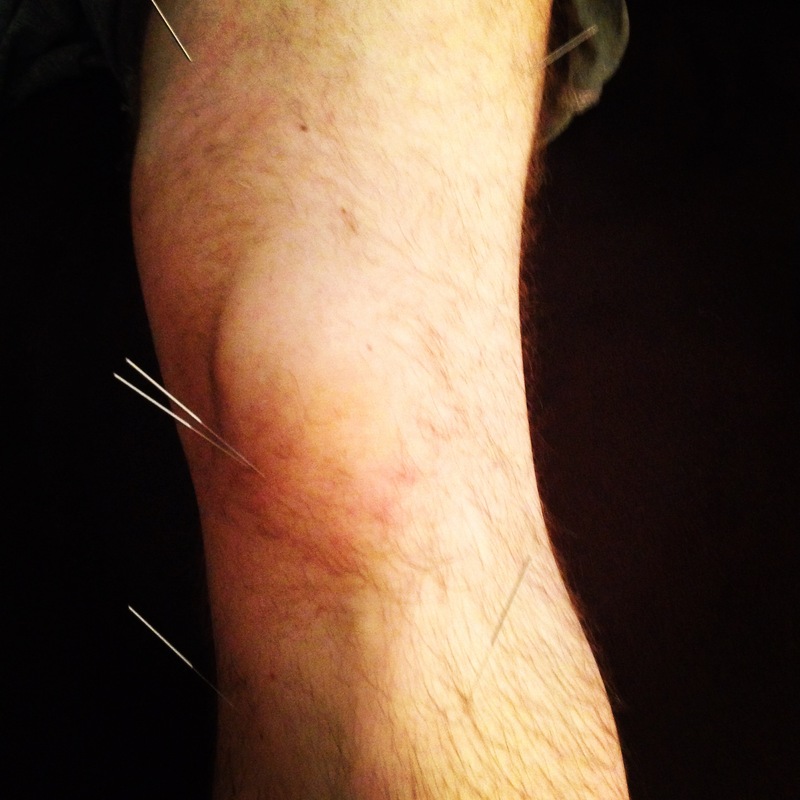 #kneepain #running #winteriscoming #springatthebend #acupuncture #TCM Never try this at home. Acupuncture should only be done by a licensed acupuncturist. #WhyWednesday 31 year old patient who hurt his shoulder lifting weights. Needles were placed in a chain and lock protocol. Chain and lock is when you follow the pain down the arm to release the pain. Gua Sha and moxabustion were also used. 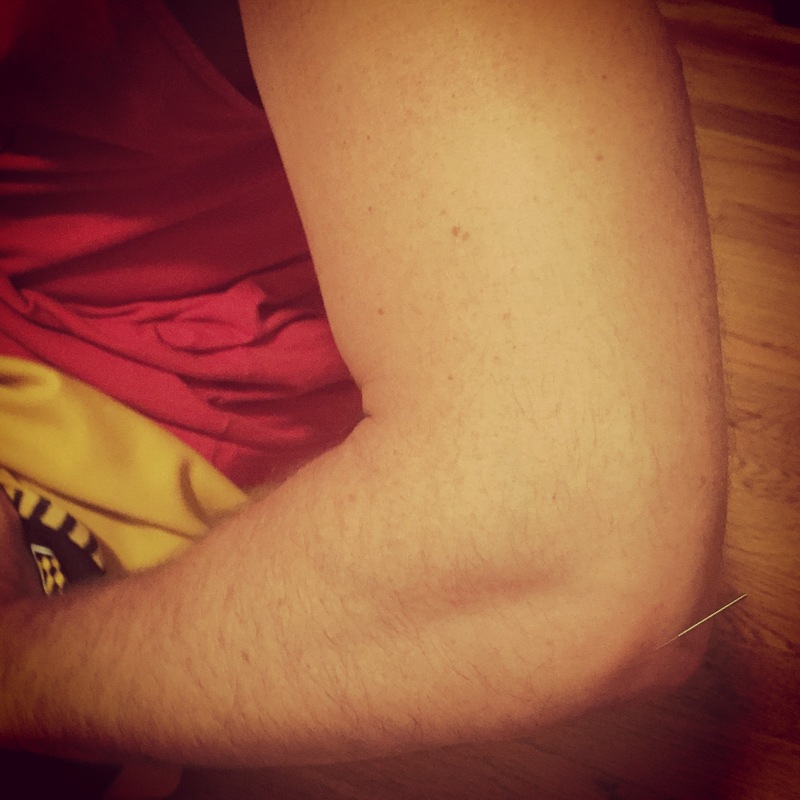 #shoulderpain #moxa #scraping #acupuncture #TCM never try this at home. Acupuncture should only be done by a licensed acupuncturist. #WhyWednesday #Thanksgiving can cause us to overeat! Acupuncture can help us feel better after stuffing our faces. Ren 10, a point in the abdomen is for those times that we think having stuffing, turkey, sweet potatoes, and cranberry sauce are just appetizers for pecan pie!!! #Tastessogood #feelssogross #overeating #acupuncture #TCM never try this at home. Acupuncture should only be done by a licensed acupuncturist. ‪#‎WhyWednesday‬ Headaches that are from neck and shoulder pain are usually referred to as tension headaches. Small Intestine 8 helps relieve headaches, as well as neck and shoulder tightness! ‪#‎TensionHeadache‬ ‪#‎Neckandshoulderpain‬ ‪#‎nomoreheadaches‬ ‪#‎acupuncture‬ ‪#‎TCM‬ never try this at home. Acupuncture should only be done by a licensed acupuncturist. ‪#‎WhyWednesday‬ TMJ is very common. 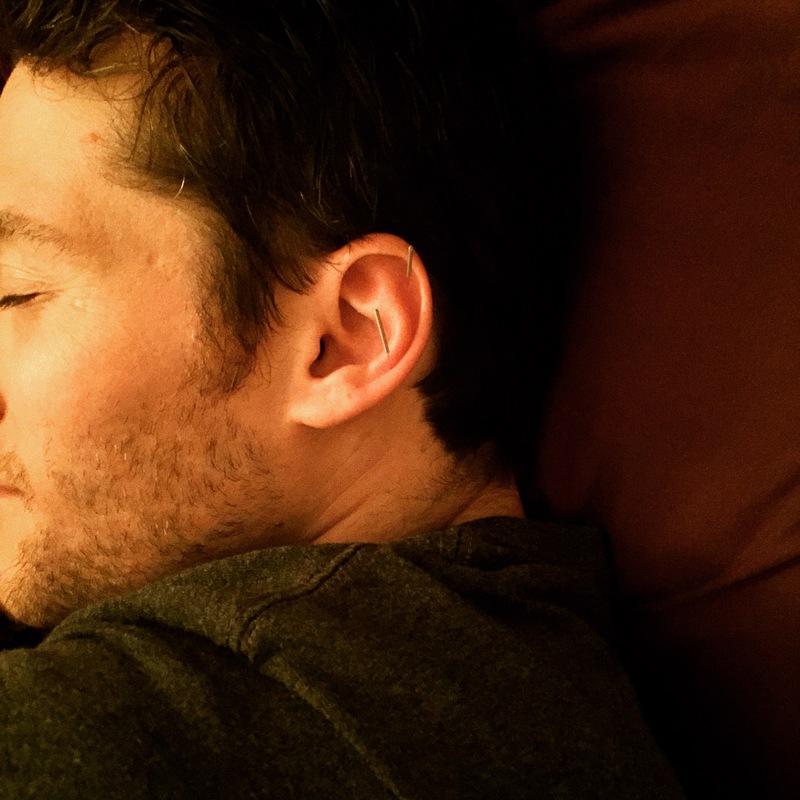 It can be caused from people grinding their teeth or clenching their jaw when they are asleep. If you are having pain you can get acupuncture in your ear to help relax your jaw! Try rubbing this spot on your ear and you will feel the difference. ‪#‎TMJ‬ ‪#‎Jawpain‬ ‪#‎grindyourteeth‬ ‪#‎clenchyourjaw‬ ‪#‎acupuncture‬ ‪#‎TCM‬ never try this at home. Acupuncture should only be done by a licensed acupuncturist. ‪#‎WhyWednesday‬ Do you find yourself scratching often? Do you have eczema? Bai Chong Wo an extra point above your knee can help treat your eczema. ‪#‎eczema‬ ‪#‎itching‬ ‪#‎scratching‬ ‪#‎rashes‬ ‪#‎acupuncture‬ ‪#‎TCM‬ never try this at home. Acupuncture should only be done by a licensed acupuncturist. #WhyWednesday Do you feel congested in your eyes and sinuses? Du 23 helps clear the congestion along with any headache you might be experiencing. 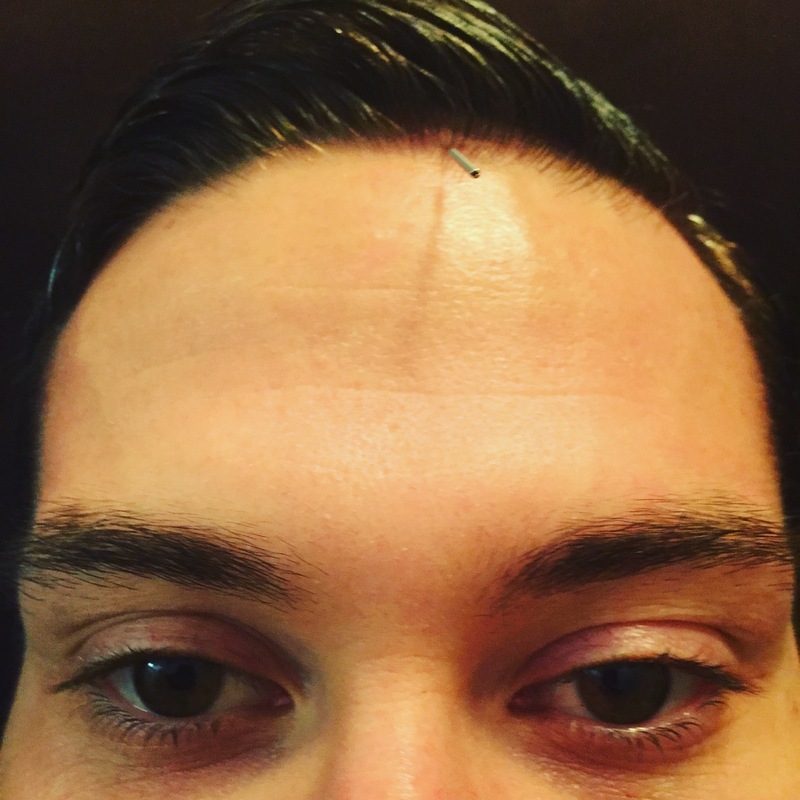 #congestion #headache #coldandfluseason #eyepain #unicornpoint #acupuncture #TCM never try this at home. Acupuncture should only be done by a licensed acupuncturist. #WhyWednesday Dizziness and vertigo are common during the fall months. Stomach 40 helps with dizziness and vertigo as well as constipation and joint pain! #Dizzy #vertigo #constipation #jointpain #acupuncture #TCM never try this at home. Acupuncture should only be done by a licensed acupuncturist. 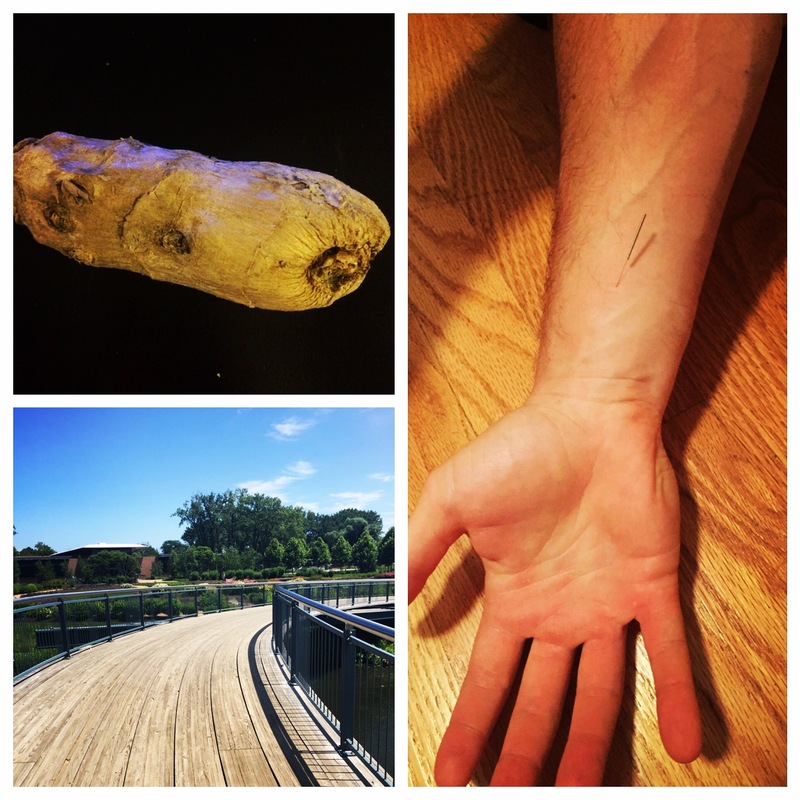 #WhyWednesday The #ChicagoMarathon was on Sunday and runners are in pain. Two points on the ankles, Kidney 3 and Urinary Bladder 60, can help with your knee and back pain! 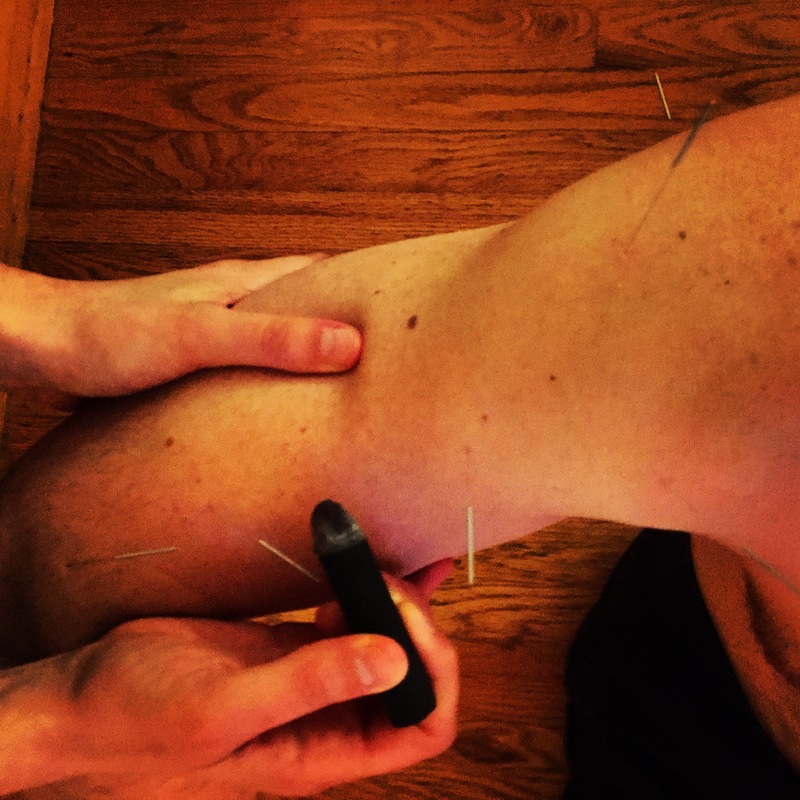 #marathonrunner #kneeandbackpain #keeprunningbutwithlesspain #run #acupuncture #TCM never try this at home. 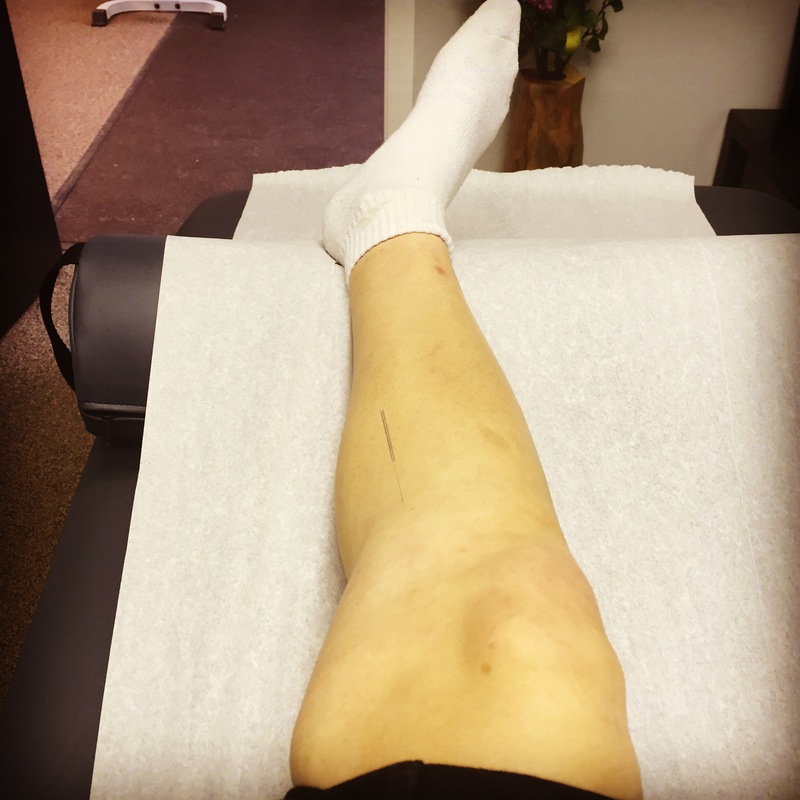 Acupuncture should only be done by a licensed acupuncturist. #‎WhyWednesday‬ My heart is skipping beats because I am so excited about adopting my new dog! Thankfully Heart 5 helps regulate heart rhythm. ‪#‎Regulateheartrhythm‬ ‪#‎heartchannel‬ ‪#‎shechangedmyheartrhythm‬ ‪#‎Adoptdontshop‬ ‪#‎acupuncture‬ ‪#‎TCM‬ never try this at home. Acupuncture should only be done by a licensed acupuncturist. ‪#‎WhyWednesday‬ Michael Phelps is getting cupped after a training session for Rio! Cupping helps with blood flow to make his muscles stronger. It also helps relieve any pain he might have from training! This patient, to the right, is also being cupped to have a shorter recovery time after working out! 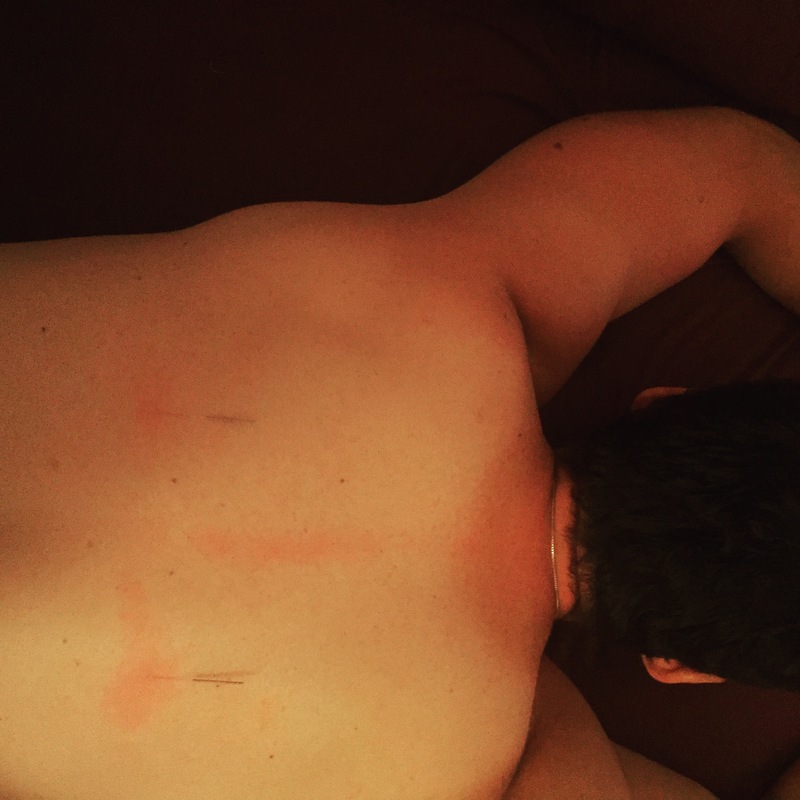 ‪#‎Cupping‬ ‪#‎goodfortraining‬ ‪#‎callMeBlackhawksBullsorBears‬ ‪#‎Rio2016‬ @m_phelps00 ‪#‎acupuncture‬ ‪#‎TCM‬ never try this at home. Acupuncture should only be done by a licensed acupuncturist. ‪#‎WhyWednesday‬ 29 year old patient with upper back pain from a lifting her baby and working a desk job. I inserted needles in the upper back and used heat therapy to promote blood flow to the area and relax her muscles. After the treatment she felt relaxed and relief! She even sent me this message! “I had a terrible pain that would not go away. I described my pain to you and you said you could take care of it and knew exactly what it was. You took fantastic care of me, I had immediate relief!” ‪#‎upperbackpain‬ ‪#‎heatlamp‬ ‪#‎relax‬ ‪#‎acupuncture‬ ‪#‎TCM‬ never try this at home. Acupuncture should only be done by a licensed acupuncturist. ‪#‎tradethetatoosforbodyhair‬ ‪#‎belieber‬ ‪#‎cupping‬ ‪#‎backpain‬ ‪#‎stomachache‬ ‪#‎acupuncture‬ ‪#‎TCM‬ never try this at home. Acupuncture should only be done by a licensed acupuncturist. ‪#‎WhyWednesday‬ After that insane ‪#‎scream‬ season finale, I understand why people have horrible nightmares that lead to insomnia. Pericardium 8 helps with this sort of insomnia as well as any other type of insomnia. ‪#‎youcanalsostopwatchingscaryshows‬ ‪#‎insomnia‬ ‪#‎nightmares‬ ‪#‎acupuncture‬ ‪#‎TCM‬ never try this at home. Acupuncture should only be done by a licensed acupuncturist. 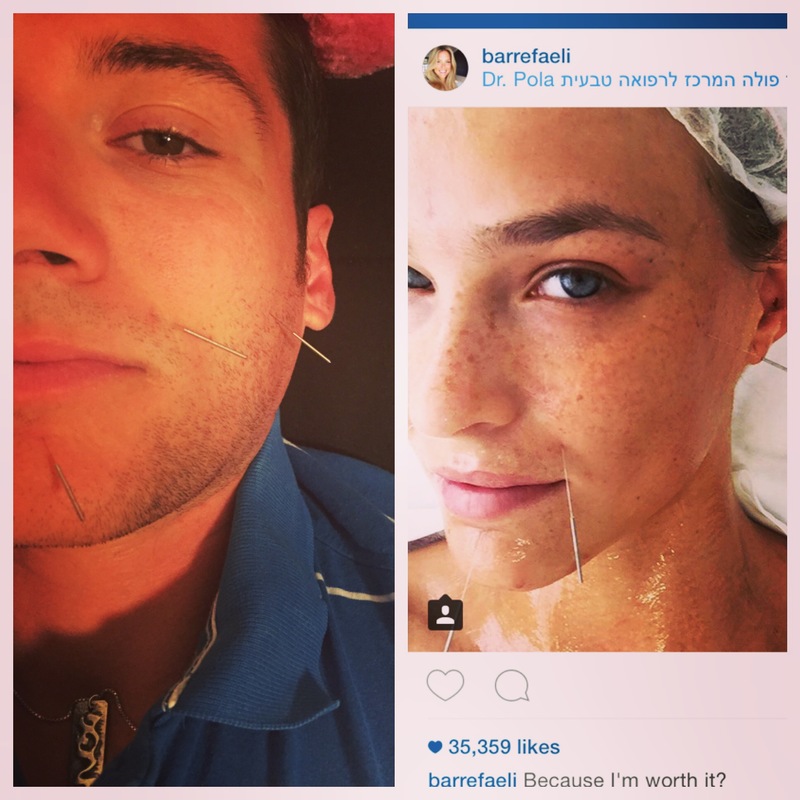 ‪#‎WhyWednesday‬ Bar Refaeli posted a picture of her getting facial acupuncture. The points chosen for her were to help keep her face looking young (Stomach 7 and Jia Cheng Jiang). The points are also for pain in the face. Although, it is safe to say her face isn’t hurting anyone. 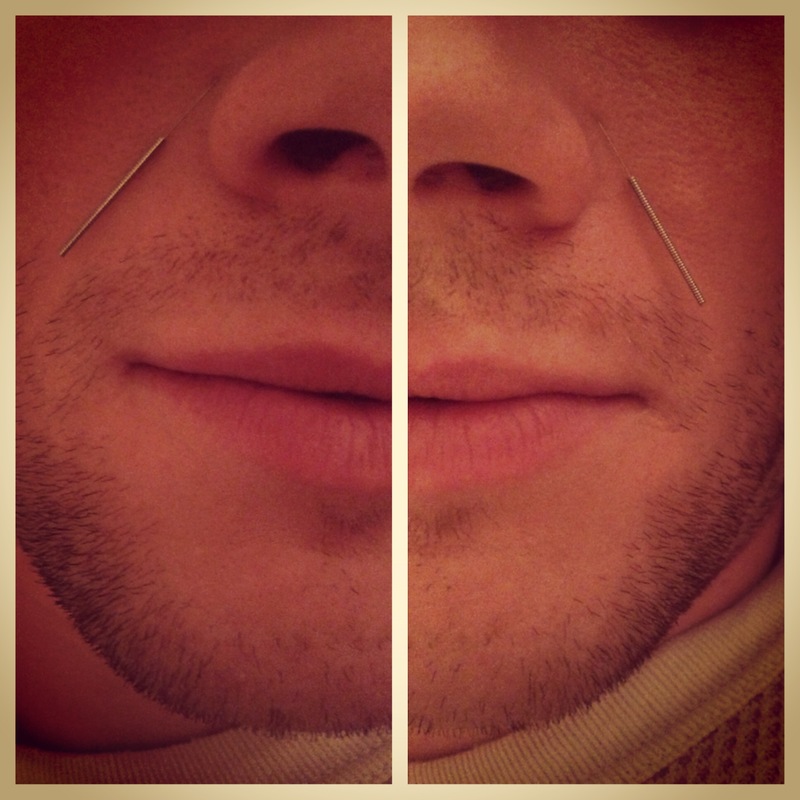 I administered the same points on this handsome fella so he can keep up his modeling for whywednesdays ‪#‎Becauseheisworthit‬ ‪#‎Whoworeitbetter‬ ‪#‎Myhusbandisamodel‬ ‪#‎yourfaceiskillingme‬ ‪#‎acupuncture‬ ‪#‎TCM‬ never try this at home. Acupuncture should only be done by a licensed acupuncturist. ‪#‎WhyWednesday‬ 30 year old with low back pain from lifting her baby. The treatment included local and distal points with heat in the areas of pain. 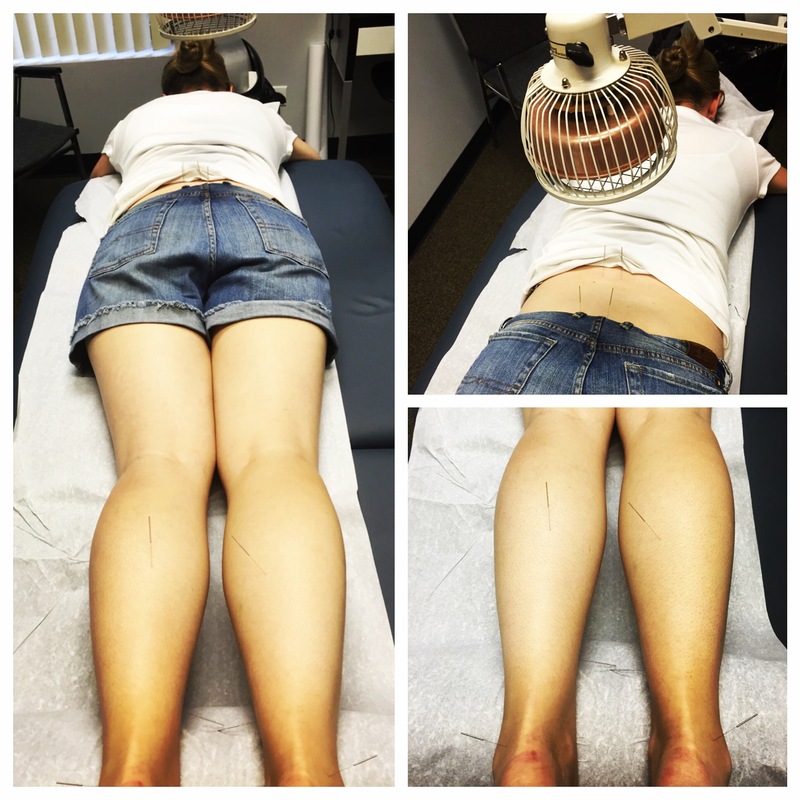 After the treatment she said, “I have much better range of motion and my back doesn’t feel tight.” ‪#‎Backpain‬ ‪#‎TDPLamp‬ ‪#‎heattherapy‬ ‪#‎heavybaby‬ ‪#‎NoMorePain‬ ‪#‎acupuncture‬ ‪#‎TCM‬ never try this at home. Acupuncture should only be done by a licensed acupuncturist. ‪#‎WhyWednesday‬ Staring at a computer or phone screen all day can cause eye pain. Yu Yao, a point in the eyebrow directly above the pupil, can help relax the eyes, clear redness, and reduce pain. ‪#‎Eyepain‬ ‪#‎redeyes‬ ‪#‎toomuchtechnology‬ ‪#‎fishbelly‬ ‪#‎phonescreen‬ ‪#‎acupuncture‬ ‪#‎TCM‬ never try this at home. Acupuncture should only be done by a licensed acupuncturist. #WhyWednesday Belching might seem funny but to some it can be embarrassing. Belching comes from the diaphragm and Urinary Bladder 17 is a great point to help control the diaphragm and stop the burping. It is also used to get your blood moving. #Belching #Bloodmover #icanburptheabcs #backupuncture #acupuncture #TCM never try this at home. Acupuncture should only be done by a licensed acupuncturist. ‪#‎WhyWednesday‬ If you are suffering from nausea acupuncture, diet, and lifestyle changes can really help. Pericardium 6 can help relieve that queasy feeling. Also, eating ginger and going for walks outside can help you feel better. Check out my article about how Chinese Medicine is more than just acupuncture ( http://tryacupuncture.org/an-open-letter-to-our-patients/) ‪#‎morethanjustacupuncture‬ ‪#‎nausea‬ ‪#‎lifestylechanges‬ ‪#‎ginger‬ ‪#‎myfriendisaginger‬ ‪#‎acupuncture‬ ‪#‎TCM‬ never try this at home. Acupuncture should only be done by a licensed acupuncturist. ‪#‎WhyWednesday‬ Neck pain that radiates to the elbow or vise versa can interfere with daily activities. Small Intestine 8 can help with the pain while calming the mind. 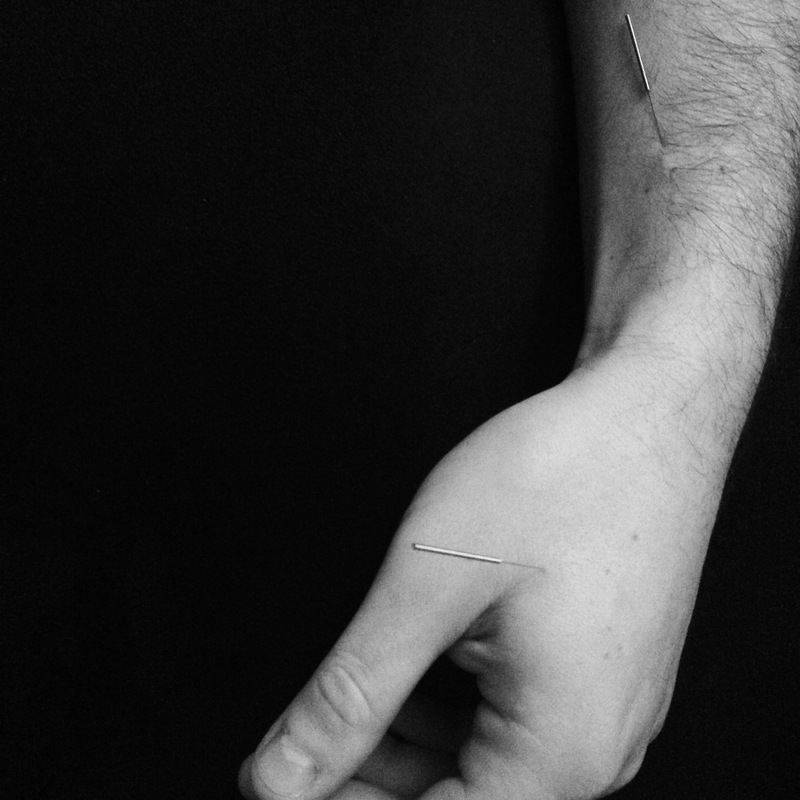 ‪#‎necktoarmpain‬ ‪#‎elbowpain‬ ‪#‎calmmind‬ ‪#‎acupuncture‬ ‪#‎TCM‬ never try this at home. Acupuncture should only be done by a licensed acupuncturist. ‪#‎WhyWednesday‬ Scars have scar tissue that can cause problems. In Chinese Medicine we treat scars using a technique called surround the dragon. 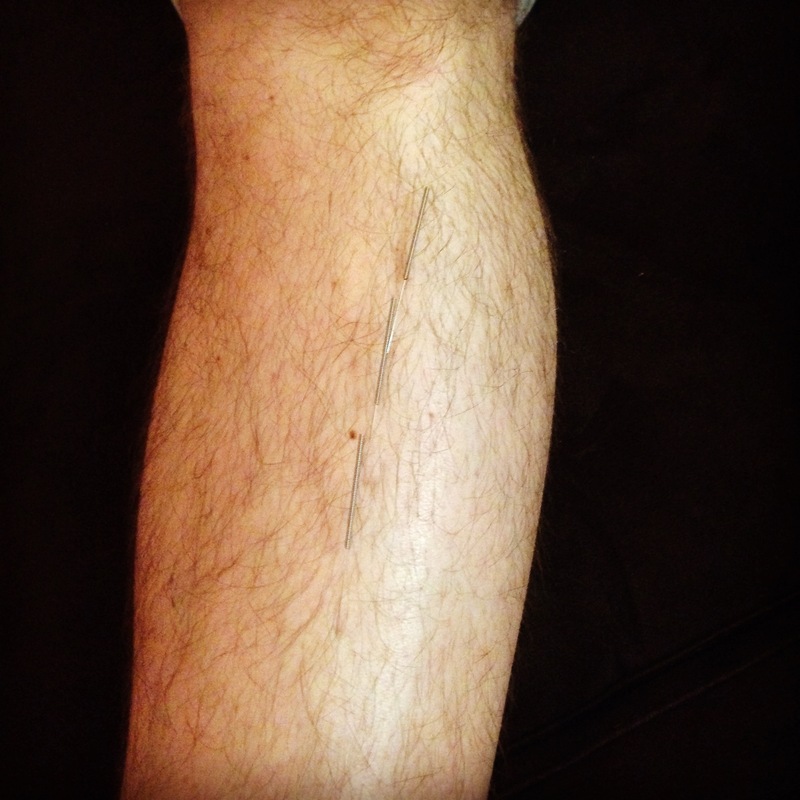 We place needles around the scar to increase blood flow to the area and break up scar tissue. The moxibustion also helps increase blood flow and treat the scar tissue. ‪#‎surroundthedragon‬ ‪#‎scartissue‬ ‪#‎scars‬ ‪#‎moxa‬ ‪#‎acupuncture‬ ‪#‎TCM‬ never try this at home. Acupuncture should only be done by a licensed acupuncturist. ‪#‎WhyWednesday‬ Do you have neck pain but are afraid to have needles in your neck? GallBladder 39 located on the side of the leg above the lateral malleolus can help relax the neck and relieve neck pain. 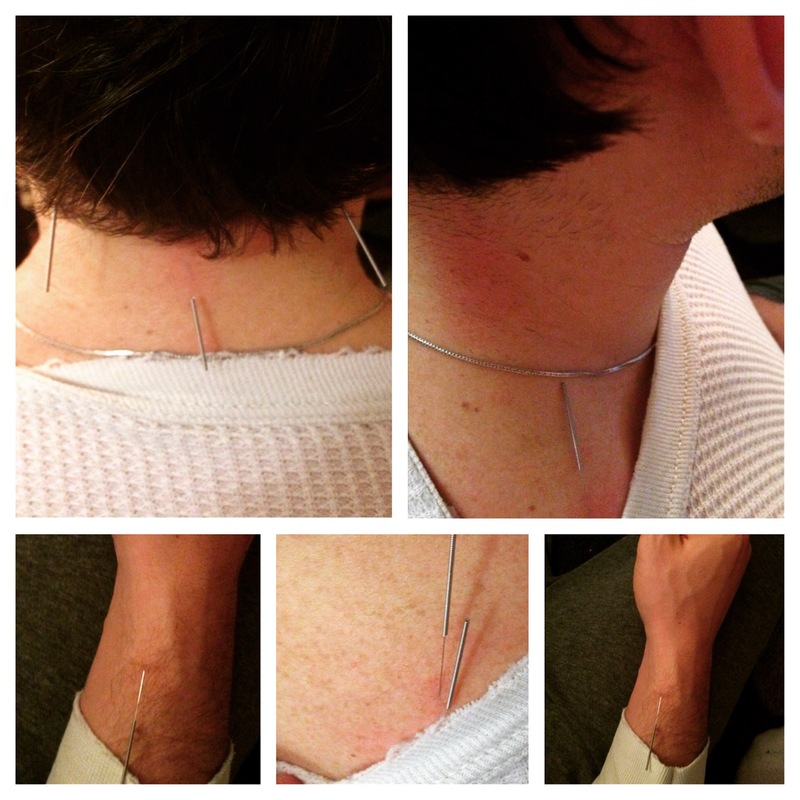 ‪#‎neckpain‬ ‪#‎painpaingoaway‬ ‪#‎distalpoints‬ ‪#‎acupuncture‬ ‪#‎TCM‬ never try this at home. Acupuncture should only be done by a licensed acupuncturist. ‪#‎WhyWednesday‬ If you have a one sided headache that is impairing your vision and hearing San Jiao 20 is the perfect point. Located right above the apex of the ear this point can help anyone having a one sided headache. ‪#‎evenhelpstoothaches‬ ‪#‎onesidedheadaches‬ ‪#‎headaches‬ ‪#‎eyepain‬ ‪#‎hearingloss‬ ‪#‎acupuncture‬ ‪#‎TCM‬ never try this at home. Acupuncture should only be done by a licensed acupuncturist. ‪#‎WhyWednesday‬ I don’t just want Lord Stanley’s cup, I want the World Cup too! Don’t let the turf hurt you ladies, get cupping done for any aches and pains during the World Cup. Cupping allows blood flow to the injured area to promote healing. ‪#‎cuppingforthcup‬ ‪#‎womensworldcup‬ ‪#‎repeatthe99ers‬ ‪#‎TheBlackhawks‬ ‪#‎stanleycupchampions‬ ‪#‎Becauseitsthecup‬ ‪#‎acupuncture‬ ‪#‎TCM‬ never try this at home. Acupuncture should only be done by a licensed acupuncturist. ‪#‎WhyWednesday‬ 30 year old patient with hamstring pain. The pain feels like a knot in the center of his hamstring. I administered points along the Urinary Bladder channel with electrical stimulation to help allow blood and qi flow to the hamstring. The patient felt better as soon as he was of the table. 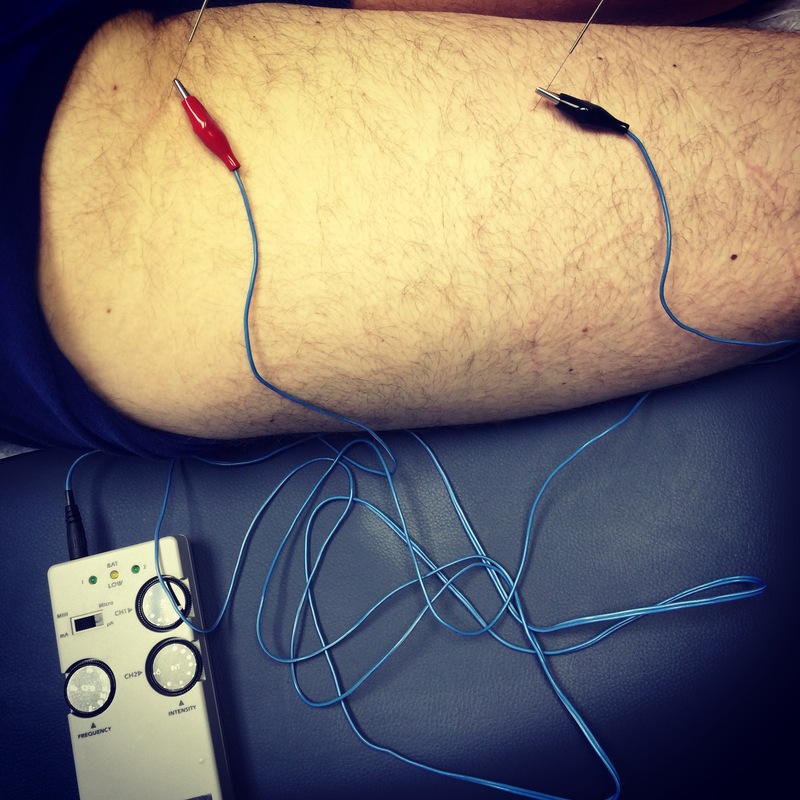 ‪#‎Hamstringpain‬ ‪#‎estim‬ ‪#‎acupuncture‬ ‪#‎TCM‬ never try this at home. Acupuncture should only be done by a licensed acupuncturist. ‪#‎WhyWednesday‬ People receive acupuncture for low back pain frequently even if they are scared to get needles in the area of pain. Thankfully there are two points in your hand that can help with acute low back pain. They are called Yao Tong Xue, and they help heal the low back by promoting qi and blood flow to the area! 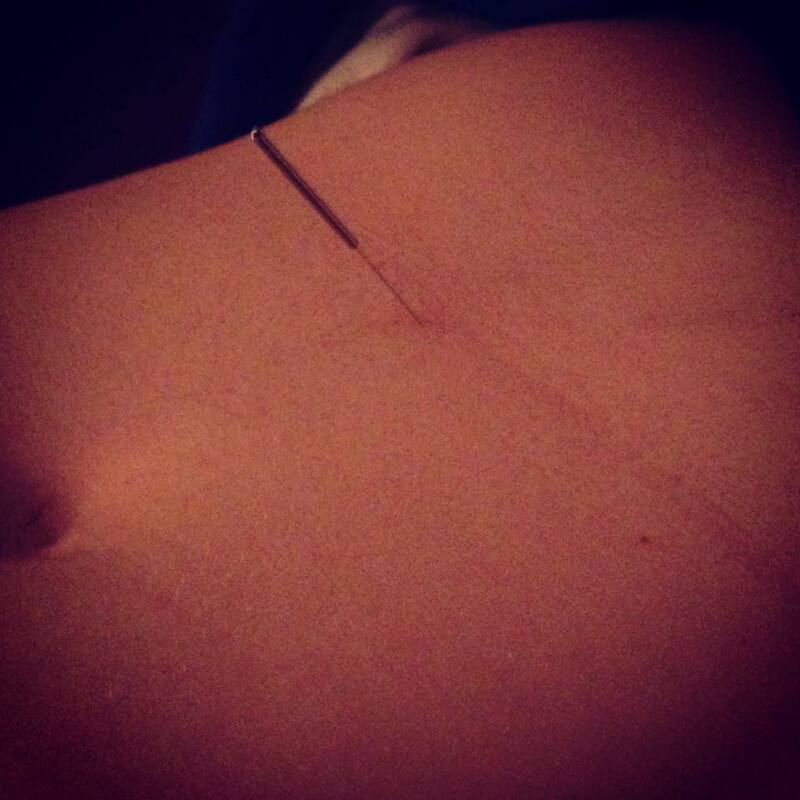 ‪#‎distalpoints‬ ‪#‎Nobackpain‬ ‪#‎acupuncture‬ ‪#‎TCM‬ never try this at home. Acupuncture should only be done by a licensed acupuncturist. ‪#‎WhyWednesday‬ after last night’s Flash finale I decided to show Liver 5 or The Flash of points. Liver 5 helps course liver qi throughout the body. This means it helps calm you down as energy moves freely in your body. ‪#‎Italsohelpswithmenses‬! Read more about Super Hero Points. ‪#‎TheFlash‬ ‪#‎freeflowingqi‬ ‪#‎acupuncture‬ ‪#‎TCM‬ never try this at home. Acupuncture should only be done by a licensed acupuncturist. ‪#‎WhyWednesday‬ 30 year old patient who has a persistent cough. I administered lung 6, which helps relieve cough. Her cough subsided immediately. 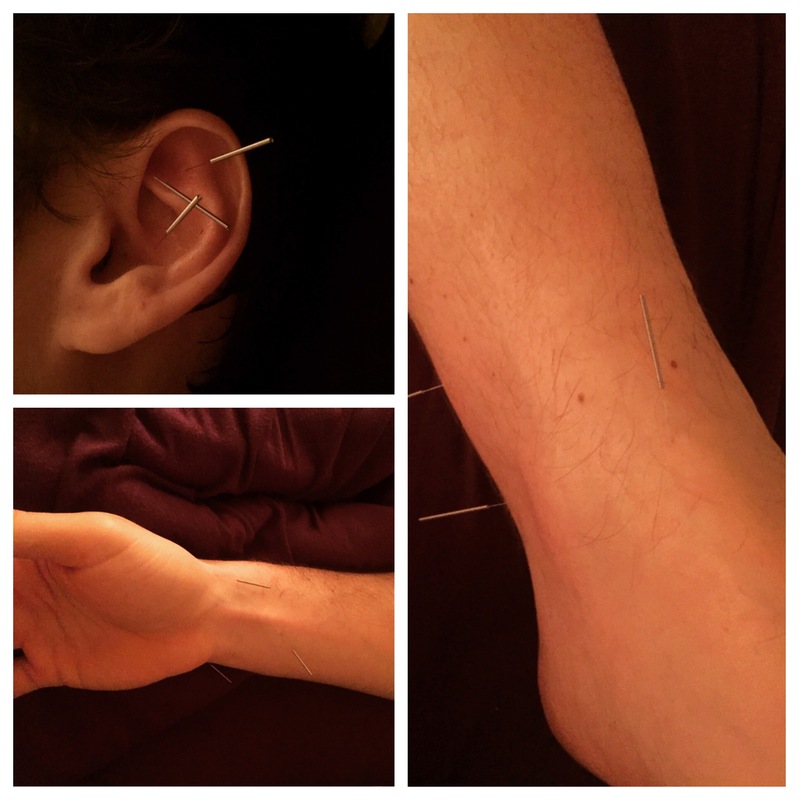 ‪#‎Workedlikeacharm‬ ‪#‎Coughrelief‬ ‪#‎acupuncture‬ ‪#‎TCM‬ never try this at home. Acupuncture should only be done by a licensed acupuncturist. ‪#‎WhyWednesday‬ Derrick Rose experienced a stinger. A common sports injury which involves a stretching of the brachial plexus that causes extreme pain down the arm that feels like an electrical shock. A treatment of needles around the shoulder with moxa (heated mugwort) can help heal the stinger and allow @drose to play with no pain! 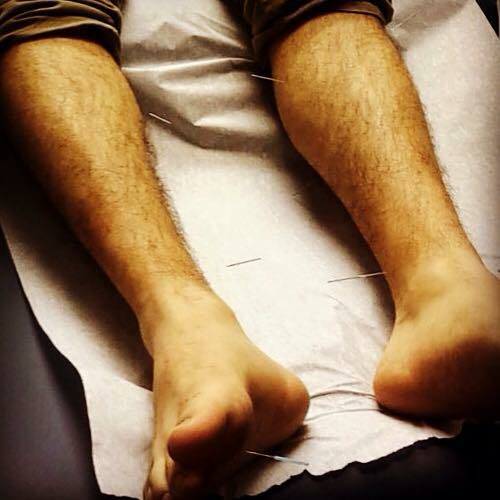 ‪#‎JustALittleStinger‬ ‪#‎NoMorePain‬ ‪#‎stinger‬ ‪#‎SeeRed‬ ‪#‎GoBulls‬ ‪#‎acupuncture‬ ‪#‎TCM‬ never try this at home. Acupuncture should only be done by a licensed acupuncturist. ‪#‎WhyWednesday‬ Do you need a quick fix to help you sleep? Auricular (ear) acupuncture or ear seeds can help if they are placed in the insomnia points. Works wonders if you have trouble sleeping. ‪#‎NomoreTylenolPM‬ ‪#‎sleep‬ ‪#‎insomnia‬ ‪#‎Nomorecountingsheep‬ ‪#‎acupuncture‬ ‪#‎TCM‬ never try this at home. Acupuncture should only be done by a licensed acupuncturist. ‪#‎WhyWednesday‬ It is getting warm outside and it is hard to concentrate on school and work. Thankfully there are 4 points, on the top of the head, called Si Shen Cong that help with memory and concentration. They are great for ACT or SAT studying as well as studying for the Bar exam! ‪#‎Concentration‬ ‪#‎memory‬ ‪#‎stayfocussed‬ ‪#‎studyingforthebar‬ ‪#‎acupuncture‬ ‪#‎TCM‬ never try this at home. Acupuncture should only be done by a licensed acupuncturist. ‪#‎WhyWednesday‬ My patient felt a cold coming on so I administered Du 14, to make sure he does not get sick. Du 14 is on the back of the neck and is used to help prevent or get rid of the common cold. ‪#‎DoDu14‬ ‪#‎prevention‬ ‪#‎ColdandFluSeason‬ ‪#‎ColdColdGoAwaycomebacknever‬ ‪#‎acupuncture‬ ‪#‎TCM‬ never try this at home. Acupuncture should only be done by a licensed acupuncturist. #WhyWednesday Spring is here and with nicer weather we become more active. To help with the aches and pains from the wear and tear on your body we administer Gall Bladder 34 to relax muscles and alleviate pain. 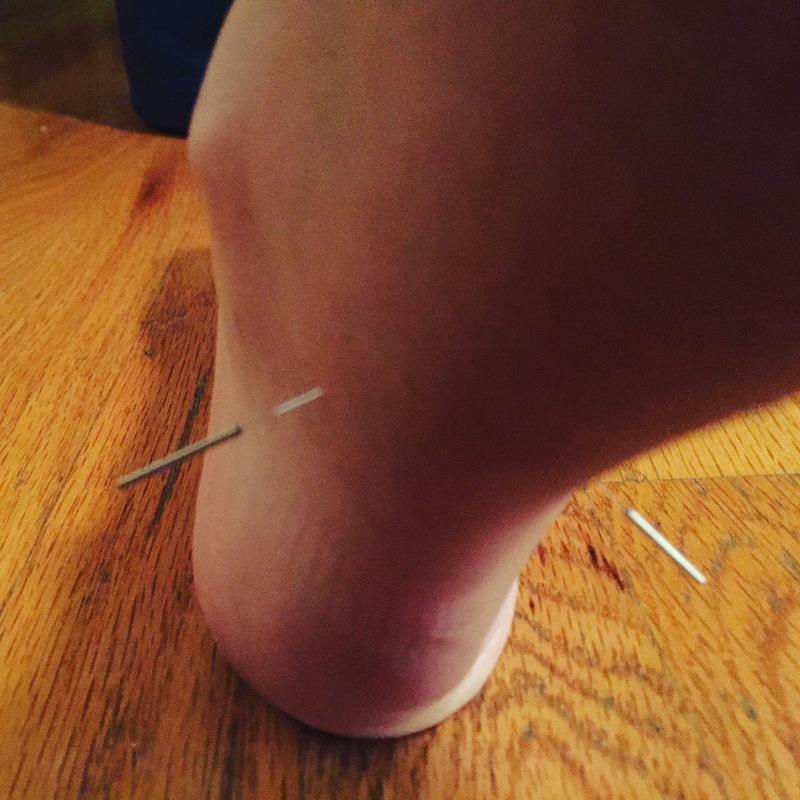 #NoMoreAchesandPains #NeverStopBeingActive #soremuscles #acupuncture #TCM never try this at home. Acupuncture should only be done by a licensed acupuncturist. ‪#‎WhyWednesday‬ Headaches can ruin your day. They are painful and can make you feel foggy and dizzy. Thankfully acupuncture can help. Stomach 8, located slightly behind the anterior hairline, helps instantly relieve headaches. After 48 hours of a headache my patient said the pounding feeling went away. ‪#‎headaches‬ ‪#‎nomoredizziness‬ ‪#‎feelbetter‬ ‪#‎acupuncture‬ ‪#‎TCM‬ never try this at home. Acupuncture should only be done by a licensed acupuncturist. ‪#‎WhyWednesday‬ Whenever my patients feel like they have been eating badly I give them treatments to get them back on the right track. Spleen 9 is a point the helps transform dampness (greasy, or fatty foods) and will help you feel better. 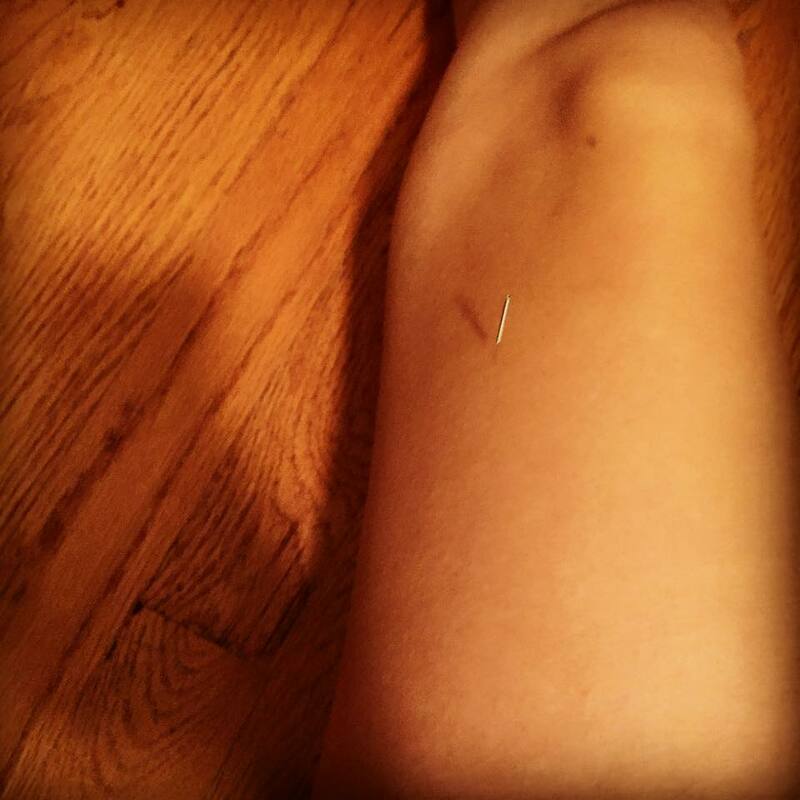 ‪#‎transformdamp‬ ‪#‎Transformyou‬ ‪#‎feelbetter‬ ‪#‎acupuncture‬ ‪#‎TCM‬ never try this at home. Acupuncture should only be done by a licensed acupuncturist. ‪#‎WhyWednesday‬ Arthritis in the hands can cause daily tasks to be painful. Ba Xie helps with the pain. 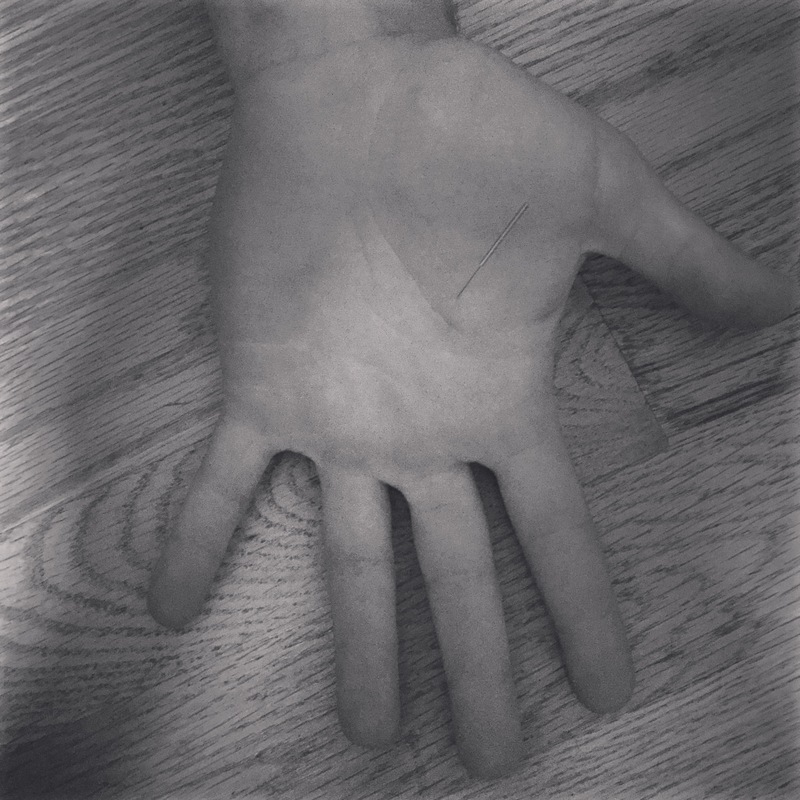 There are 8 points all located in the webs of the fingers and they help release pain and swelling in the joints. 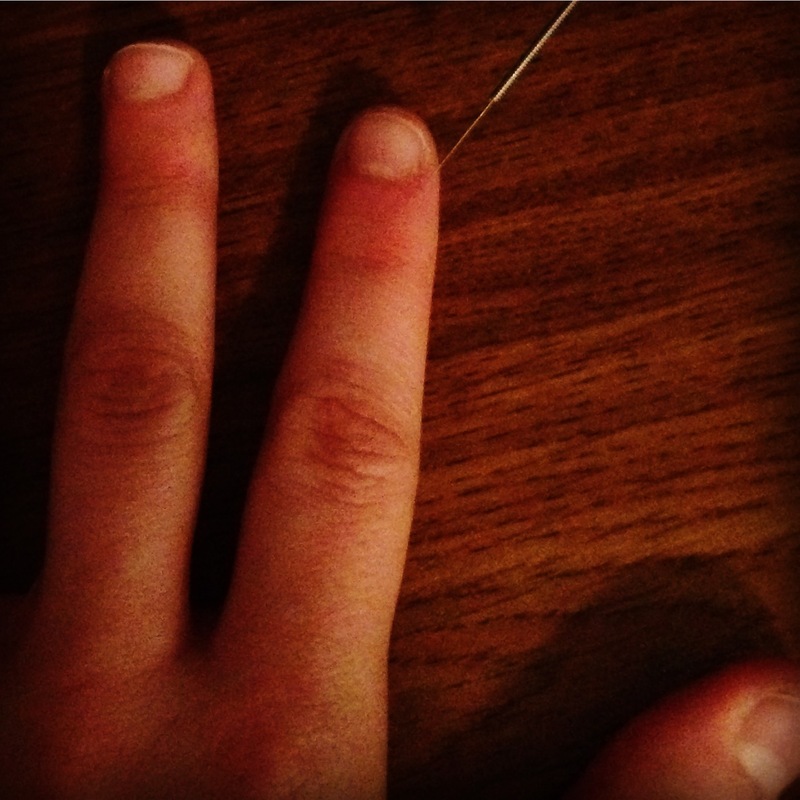 ‪#‎arthritis‬ ‪#‎Painrelief‬ ‪#‎jointpain‬ ‪#‎acupuncture‬ ‪#‎TCM‬ ‪#‎wolverine‬ never try this at home. Acupuncture should only be done by a licensed acupuncturist. ‪#‎WhyWednesday‬ my patient was feeling unsteady and nervous. I administered the Buddhist Triangle to help my patient feel more stable. The Buddhist Triangle is when you place a triangle of points in the ear, wrist, and ankle, which in itself forms a triangle on your body. A triangle is always steady with two edges firmly on the ground. Even if a triangle is pushed over it will land on two edges. The hope with this treatment is that patient is as steady as a triangle after the treatment. 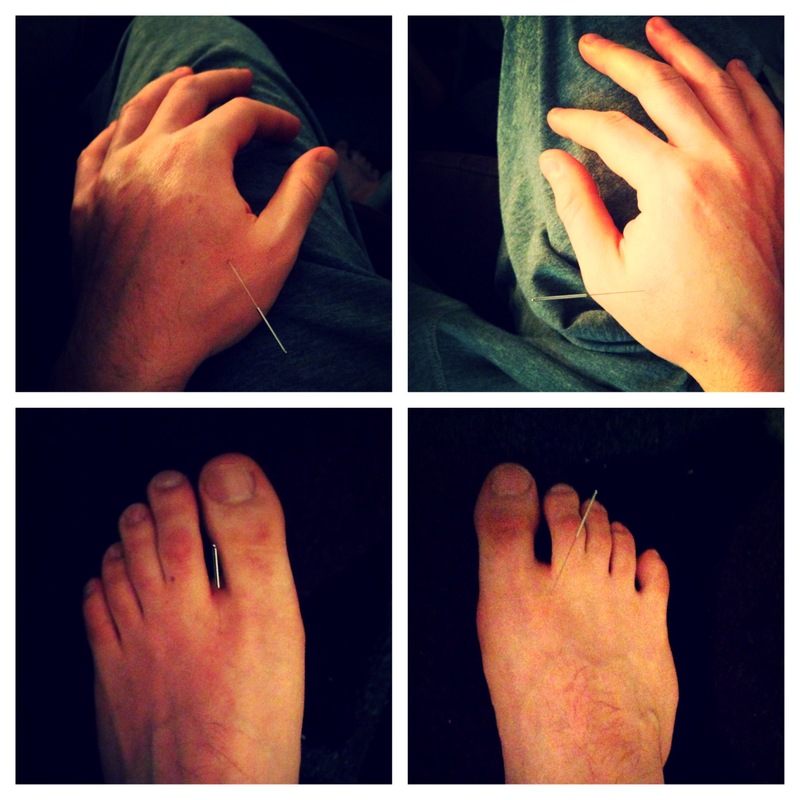 ‪#‎landontwofeet‬ ‪#‎BuddhistTriangle‬ ‪#‎calm‬ ‪#‎acupuncture‬ ‪#‎TCM‬ never try this at home. Acupuncture should only be done by a licensed acupuncturist. ‪#‎WhyWednesday‬ feeling angry or frustrated? Acupuncture can help! Liver 2 threaded to liver 3 can help calm people down during stressful times. 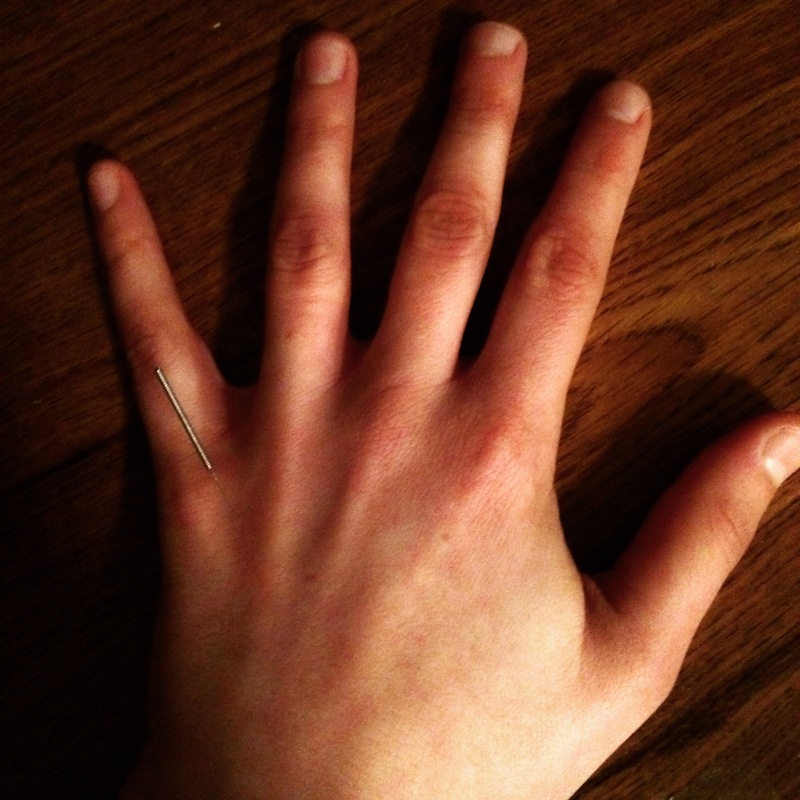 ‪#‎angrynomore‬ ‪#‎calmthefire‬ ‪#‎acupuncture‬ ‪#‎TCM‬ never try this at home. Acupuncture should only be done by a licensed acupuncturist. ‪#‎WhyWednesday‬ in honor of me becoming an aunt again I am demonstrating kidney 9, which is also called Guest House or Beautiful Baby. This point helps calm the spirit in order for the mother to have a more relaxing pregnancy. ‪#‎anauntagain‬ ‪#‎beautifulbaby‬ ‪#‎healthybaby‬ ‪#‎acupuncture‬ ‪#‎TCM‬ never try this at home. Acupuncture should only be done by a licensed acupuncturist. ‪#‎WhyWednesday‬ After childbirth sometimes women don’t have great bladder control. Thank goodness a simple point like DU20 can help. It can also help with heavy periods! ‪#‎afterchildbirth‬ ‪#‎center‬ ‪#‎nomoreleaking‬ ‪#‎acupuncture‬ ‪#‎TCM‬ never try this at home. Acupuncture should only be done by a licensed acupuncturist. #WhyWednesdays a 30 year old male with an olecranon #bursitis (inflammation in the bursa of the elbow). The injury occurred at work because his elbow hits his desk repeatedly. I performed #moxibustion (heated mugwort that allows better blood flow to the area) to help heal the bursitis. After 1 treatment and changing his positioning at work the bursitis is gone. #WhyWednesdays. 29 year old body worker with thumb pain as well as numbness and tingling down her wrist. 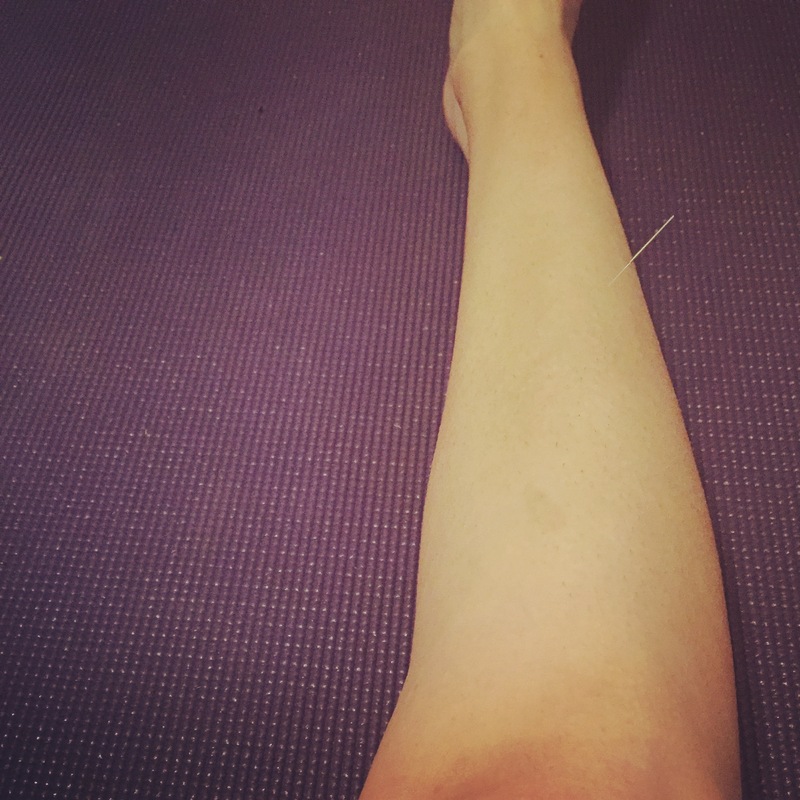 She received #acupuncture and #moxibustion and within two days she was back to work with no pain and no numbness and tingling. 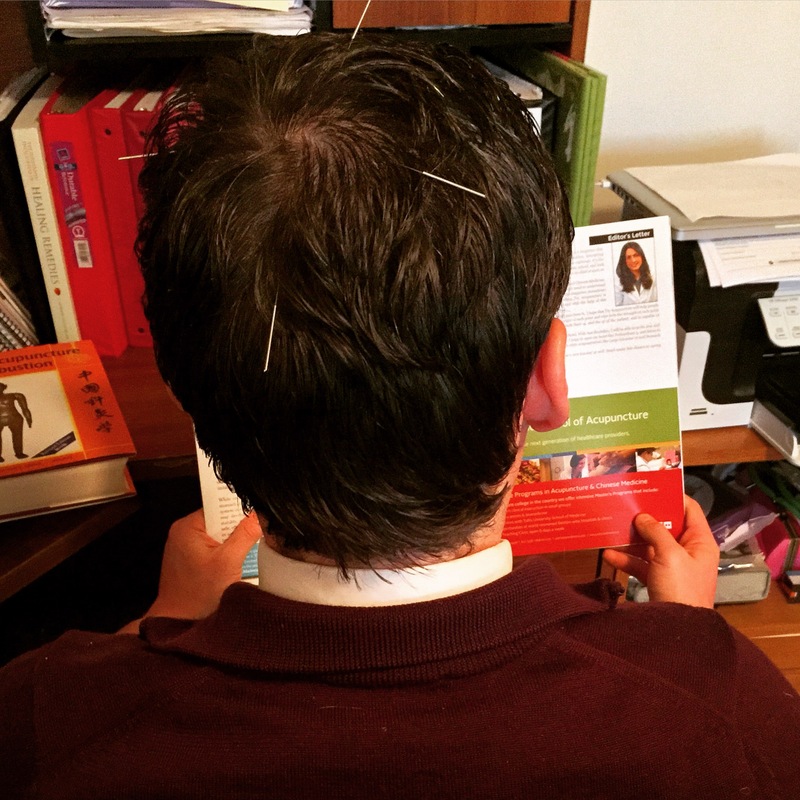 Find out why people get acupuncture every Wednesday!